December starts tomorrow but as I'm a blogger, christmas comes a little early in more ways than one! 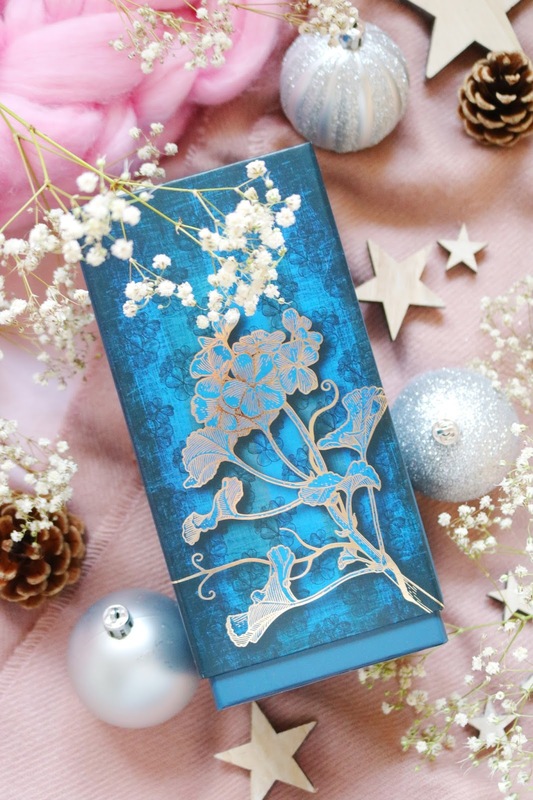 I was very kindly sent so many wonderful, festive products and christmas decorations recently from the incredible lovely people over at Bags Of Love and Amara! Today's post is all about the festive homeware items and Christmas decorations that I've added to our home recently in preparation for the most wonderful time of the year. Let's start with two of my favourite items, although to be honest I adore them all, which are these lovely sparkly and unique baubles from Amara. 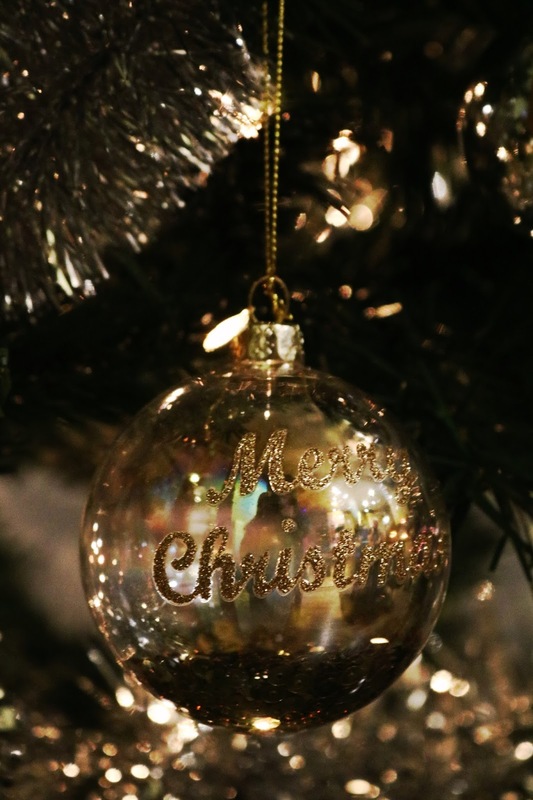 The baubles have 'Merry Christmas' on the front in golden glitter as well as sparkly, festive sequins within the glass baubles. They come in a set of two and they look so beautiful especially when they catch the light from the Christmas tree. I haven't actually placed the baubles on the christmas tree, I've added them to the mantlepiece along with the next item I'll show you as I think they look so pretty there instead of the tree which is predominantly silver this year. I love the idea of baubles in other places around the house instead of just on the christmas tree as I've also added our more unique knitted and wooden baubles to door and cupboard handles which I think looks so cosy and homely. I cannot recommend these gorgeous baubles enough especially if you're looking for something a little more unique this Christmas! To go alongside the sequin baubles, I have this beautiful domed decoration from Gisela Graham at Amara. I've wanted something like this for so long but they can either be very cheap and tacky or beautiful but very expensive; however this one is a great in-between option as I think it's so pretty but the price point isn't ridiculously high for a seasonal decoration. I love the design, I think it's festive and cute but it isn't over the top or gaudy as some can be! 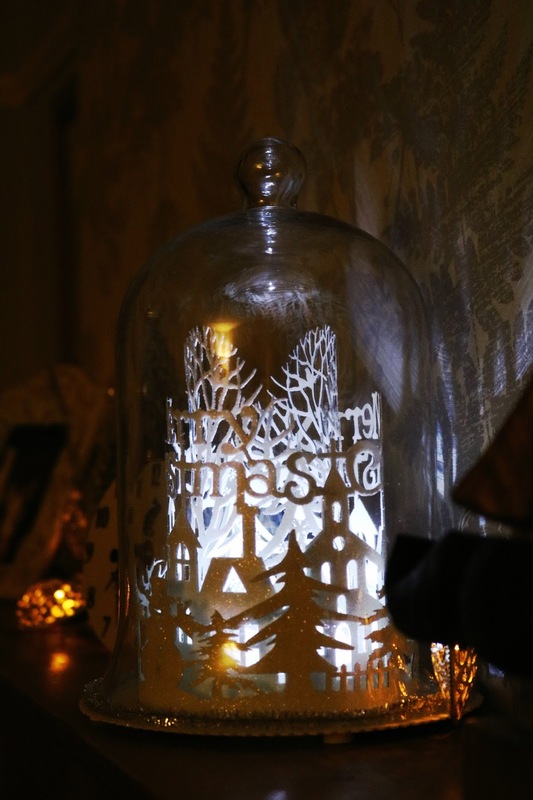 I particularly love the almost papercut design as well as the mini tinsel boarder and the glass dome. Although the best thing about this Christmas decoration is that it lights up with a cool toned white light. I think it looks so lovely on the oak mantlepiece along with the sequin baubles and fairy lights. Next up from the amazing people at Amara is this adorable mini Christmas tree complete with faux baubles and snow! It's currently on the mantlepiece with the other festive decorations and fairy lights but I might move it; however it is the cutest Christmas tree decoration I've ever seen. I love the way it is styled and displayed on Amara as it looks amazing but I might move it to my bookcase to give it a more seasonally appropriate look with the addition of some fairy lights! It's such a cute little decoration that is very inexpensive! 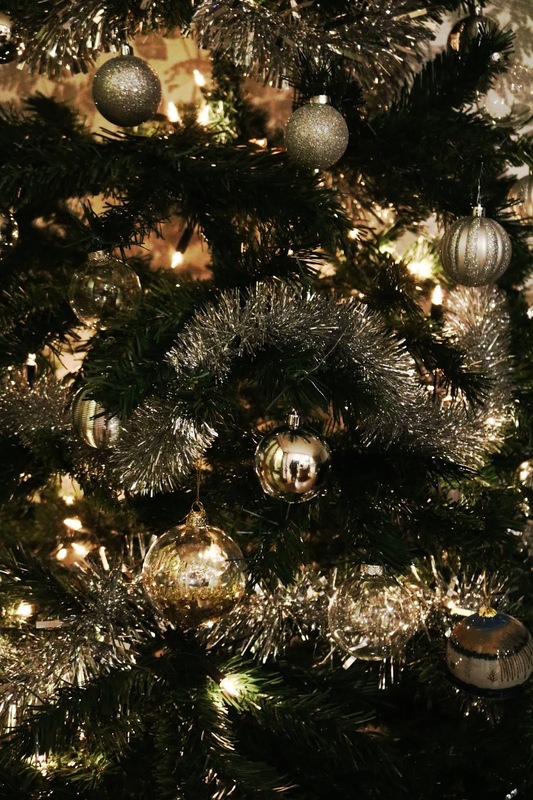 Lastly from Amara is a set of 30 silver Christmas tree baubles! Since we had a kitchen and living room redesign and colour scheme change, all of our golden and more classically festive baubles don't really match anymore so I think silver is the best option for our oak, cream and grey themed kitchen and living room. The baubles come in a few designs, my favourite is obviously the fully glittery baubles even though I managed to cover myself in glitter while I was tying the string onto each bauble. 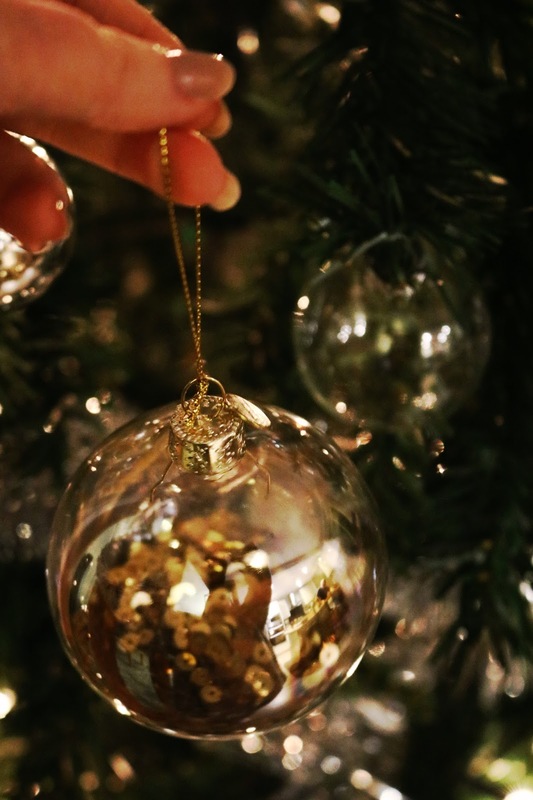 One of the best things about these baubles compared to all of our others is that they are shatter proof! I cannot recommend them enough especially for the price! Now onto the cosiest item in today's post and it's from a brand I've worked with previously - the lovely Bags Of Love! 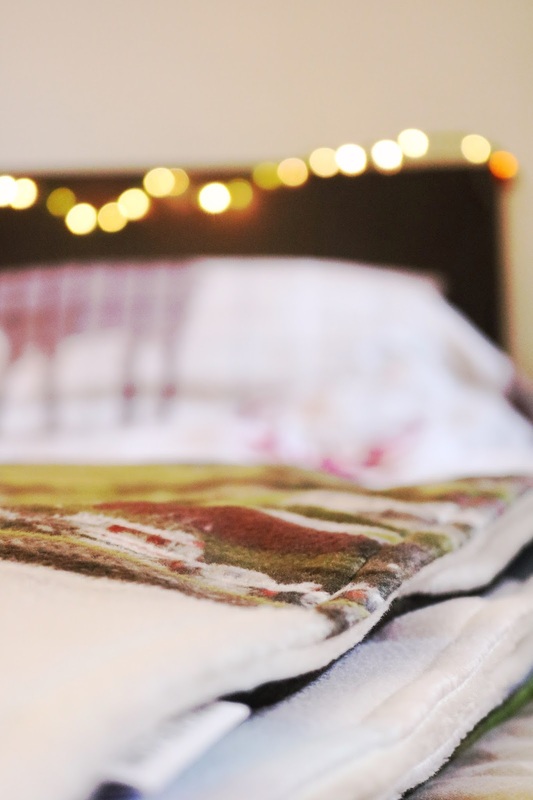 They have so many incredible, personalised gifts and Christmas homeware to choose from but I chose the medium landscape blanket (£69) which I adore! With each item there are so many options to change it to suit your home, your style or your recipient, for example, you can change the size, colour and design of the blanket. For my blanket I chose to add two large photos that I took while on holiday in Norway back in August (you can check out my Norway posts, here). Norway was such a breathtakingly beautiful country with so many gorgeous fjords, mountains, rivers and towns so I had to bring a little of Norway into our home this festive season. As the photographs are being printed onto a super fluffy and cosy blanket, they aren't going to be very crisp; however I'm impressed with how much detail there is and how vivid the colours are on the blanket. I expected it to be less clear than it is so I'm really happy with the end result. The blanket itself is much bigger than I thought it would be - I have the medium landscape option which is 145 x 106cm so it's perfect for adding to the foot of your bed or as a large sofa blanket for those very chilly wintery evenings, like today! 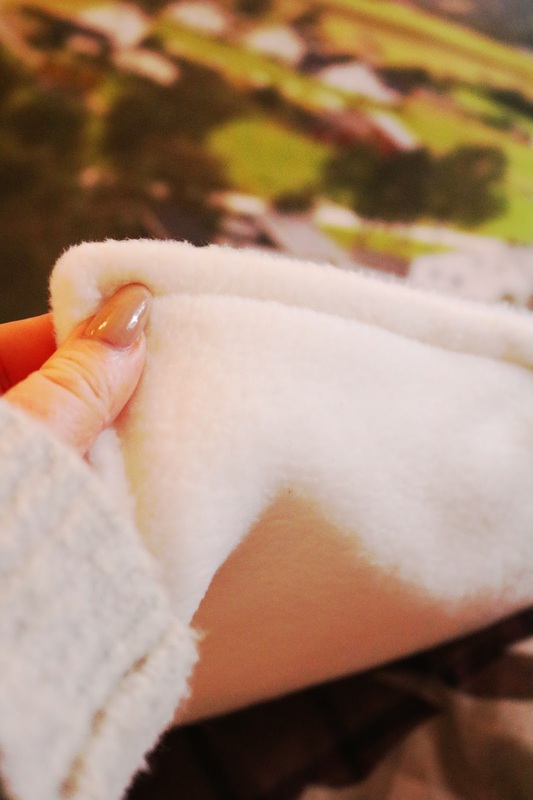 It's made of a very cosy, soft and snuggly material and again, I cannot recommend it enough - it would make such a special gift this Christmas! Their products are currently on a 3 for 2 offer so go, go go. 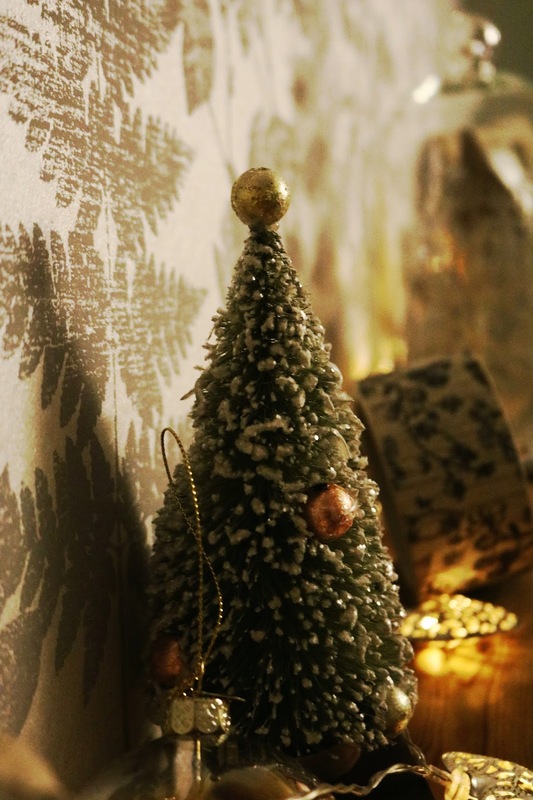 What do you think of these Christmas decorations and festive homeware items? Christmas was always exciting growing up and one of the best things about Christmas morning was to see if Santa had left any presents in my stocking *spoiler, he always did, thanks Santa* and even at the grand old age of 25, I still love the tradition of stocking fillers! Instead of the chocolates and toys I received growing up, now I receive coffee, toiletries and cute little candles which are so much better! It's too late this year but next year I think I'm going to create stockings filled with little goodies for everyone instead of one or two larger presents in a gift bag as it's so much more festive and exciting. Today's post features a range of gifts that would be ideal stocking fillers for anyone from grandmas, mums, teens and friends. Let's start with one of my favourites from todays selection and one of the most unique! I know that fragrance atomisers have been around for a while but I don't actually know anyone who has one but they are so practical! I was kindly sent the 'hot pink glitter' option but there are so many to choose from including colour options that your dad, husband or male friends would like use for their aftershave or cologne. To use, you just pull out the top of the atomiser, take off the top section of your perfume or cologne then connect the two and press down to spray the perfume or cologne into the atomiser so you can take it with you on the go or while travelling. It's such an incredibly light weight and useful gift especially if you know someone who commutes or travels often. I love mine and I'll be keeping it in my handbag so I can use my favourite perfumes on the go instead of lugging around a huge glass bottle! They are currently on offer - two for £20. 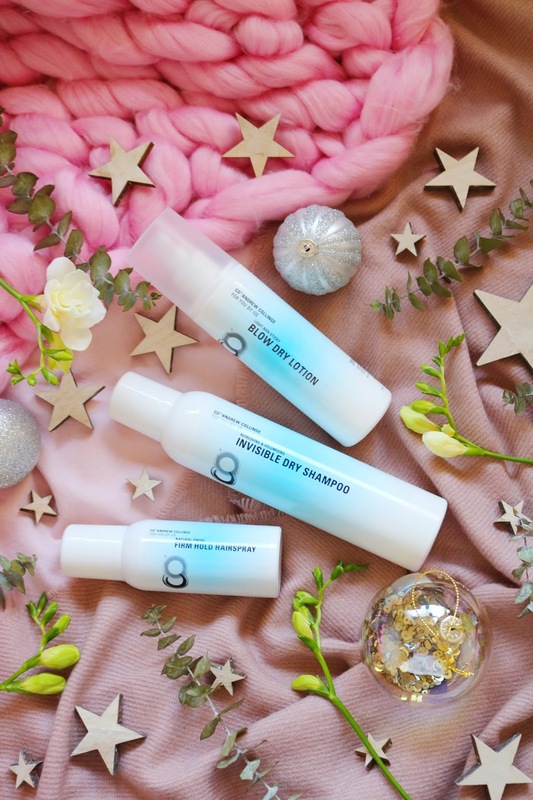 Another practical beauty stocking filler is dry shampoo! I love giving practical gifts as it means that the recipient doesn't have to buy it for themselves. 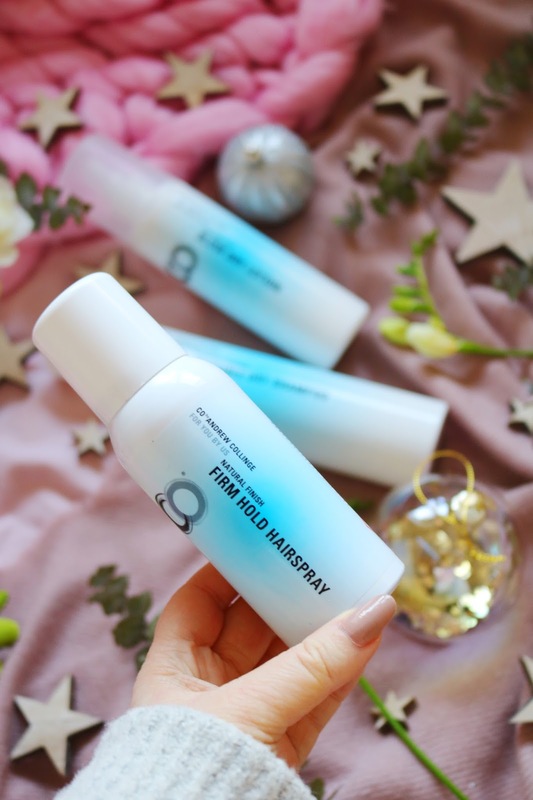 Dry shampoo is a great option as so many people use it everyday or every other day, myself included and this invisible dry shampoo would be ideal for all hair colours without the dreaded grey cast that some dry shampoos can leave in darker hair. It leaves my hair super smooth, soft and much more presentable! Another great stocking filler option (or as a gift if you combine these gorgeous haircare products) as it's an item not everyone will have. This blow dry lotion is perfect for adding shine and volume to the hair as well as light hold. It also contains UV filters and heat protection! Lastly for haircare products, a mini hairspray would make a great stocking filler especially as the festive season and new year means that there will be lots of parties, catch ups with friends and meals out - this time of the year is really the only time that I use hairspray! It's a great trial size and great for travelling. I've tried quite a few products from Andrew Collinge and I cannot recommend them enough! 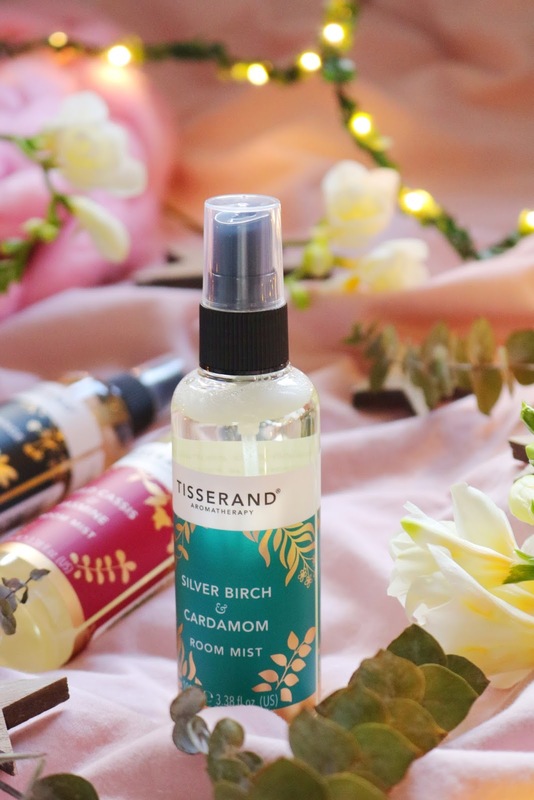 When it comes to bath and aromatherapy products, Tisserand is one of my favourite brands! My favourite range is definitely the Sweet Dreams range but I'm now kind of in love with their new Christmas collection. I was very kindly sent three of their room sprays in the new Christmas scents including: Silver Birch & Cardamon, Wild Cassis & Jasmine and Sweet Orange & Cardamon. I love the packaging for these three room sprays, the boxes and the bottles are so pretty and festive; the gold foil on both makes it look so gorgeous and perfect for the festive season. I know so many family and friends who'd love these room sprays as gifts or stocking fillers. It's so difficult to choose my favourite scent of the three as they are all so festive and gorgeous; also each one is so different as well. The Silver Birch & Cardamon is slightly spicy and musky but also sweet and very unique. Wild Cassis & Jasmine is beautifully floral and sweet - it reminds me of a fragrance I had a long time ago! 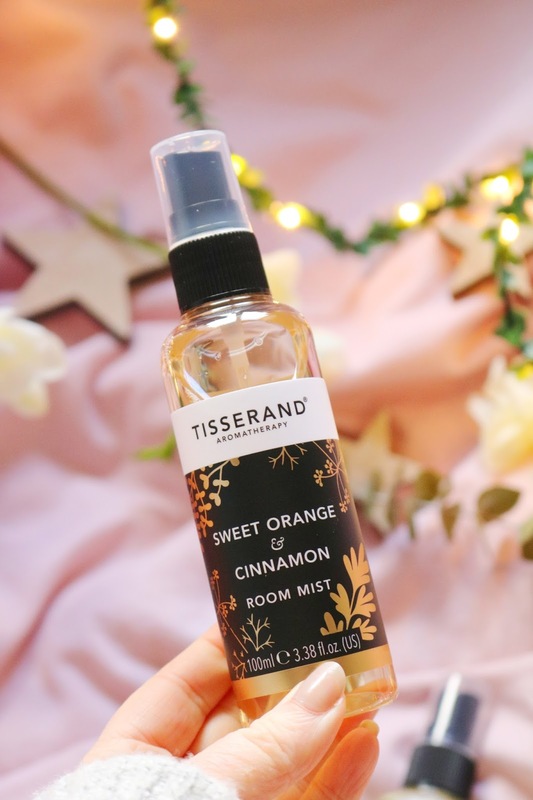 Lastly is Sweet Orange & Cinnamon which might actually be my favourite as it's the most festive with citrusy sweetness and the festive cinnamon scents. 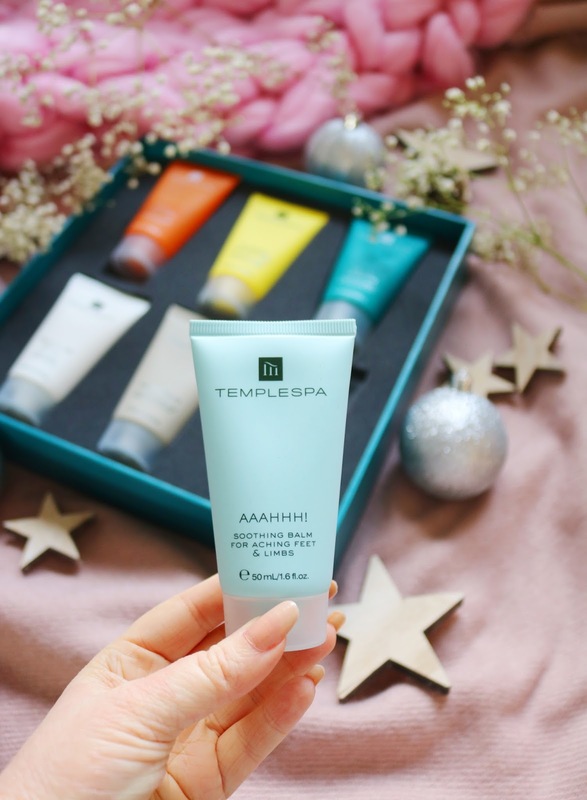 The penultimate stocking filler is a great all around skincare item that is perfect for this time of the year! I have dry and sensitive skin and the winter months can be so harsh on my skin therefore it definitely needs a little more TLC - eye creams are such a quick and easy way to look after your skin in the winter months and to make your concealer look so much better (mine always looks so dry and awful at this time of the year). 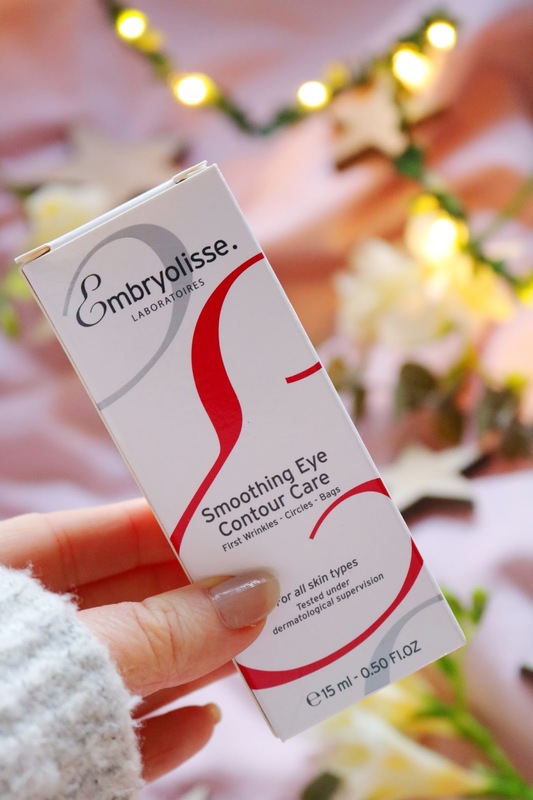 I've only tried a couple of products from Emrbyolisse and both are wonderful especially with my dry and sensitive skin (I'd love to try more!) so I think this is a pretty safe gift to give even for those with sensitive skin. The eye cream has a lovely texture, it is moisturising and great for underneath makeup. 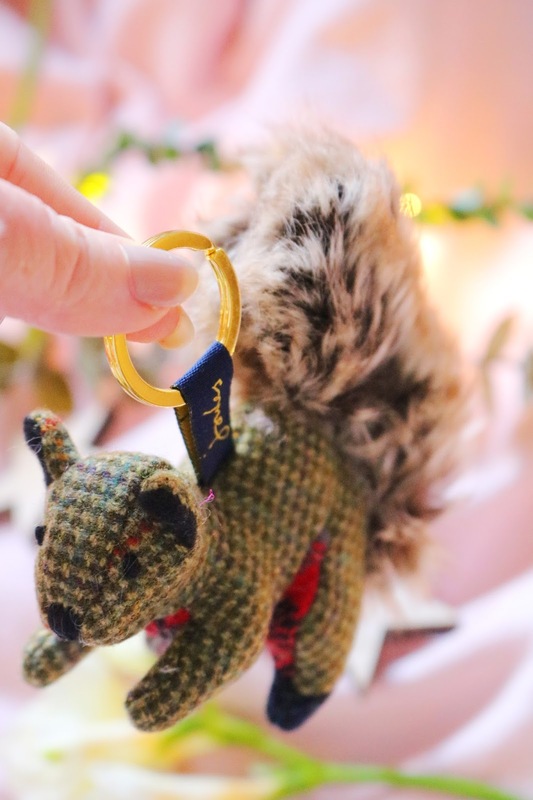 Last but not least is the cutest item in todays post as it's an adorable tweed novelty keyring from Joules (one of my favourite brands!). I think it would make a lovely little stocking filler as it's practical and super cute. It's perfect for me as I always end up spending so long searching through my bag to find my keys but with this little guy on my keys, it will be so much easier! CHO Fashion & Lifestyle have a code to get 10% off but it ends very soon. What do you think of my stocking filler ideas? Have you tried any of these brands? Christmas and New Year are right around the corner as well as parties and catching up with friends and family which I love but it's a bit difficult if you don't really drink. 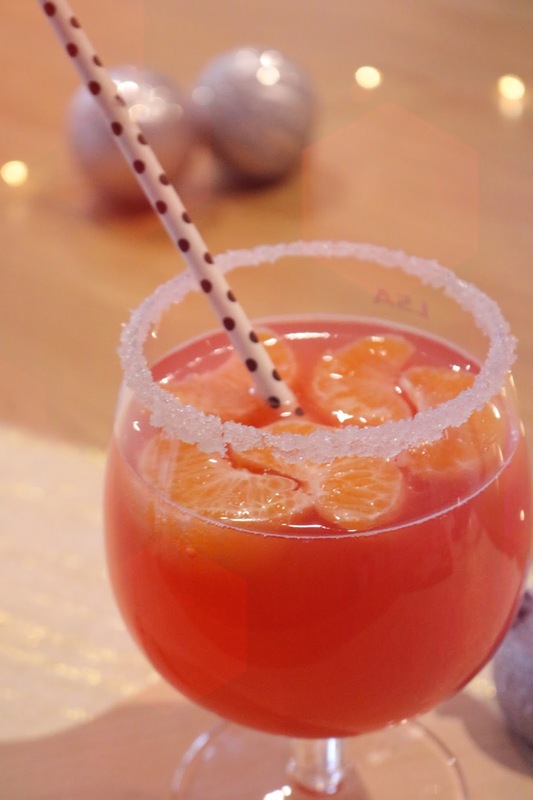 However, delicious mocktails are fantastic alternatives this festive season and thanks to Pago Juice, I've created a couple of pretty, easy and festive mocktails. I was kindly sent some of the *Pago Juice Rhubarb & Pear Juice to use in my recipes and it's so delicious even on it's own! The Pago Juice bottles are 200ml each so these mocktails are all large individual sizes but you can double the quantities for more. I have the Rhubarb and Pear flavour but there are so many others to choose from! 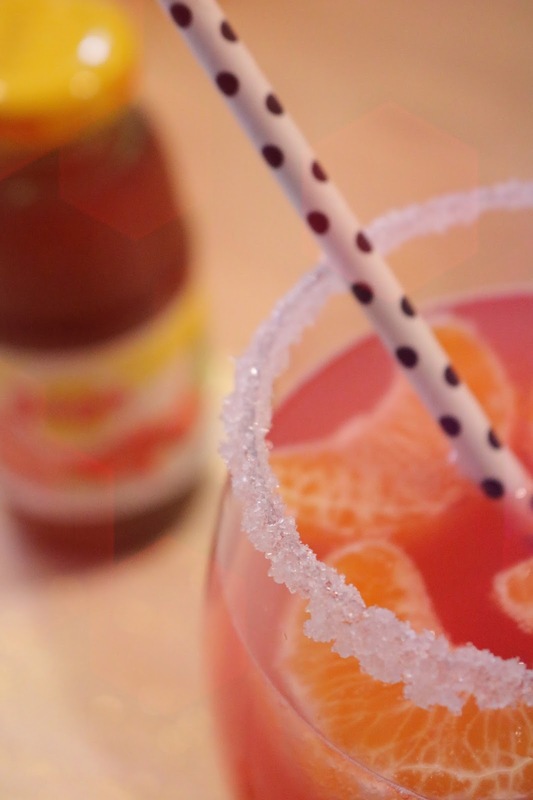 For this first mocktail combination, let's start with my favourite of the two! For both of these mocktails, I used the LSA Craft Beer Glasses from Amara which are 550ml each - they're great glasses and they'll be back in stock in January. It couldn't be simpler, first dip the glass rim into a little water then into white granulated sugar to give the mocktail a snow frosted, festive appearance. Then just combine the Pago Juice and lemonade into the glass along with a few orange segments or even strawberries but I think oranges are more festive! Finish with a cute straw, mine are from a previous Treatbox. The second and final option in today's post is a very fruity mocktail with the pretty addition of icy blue edible glitter! 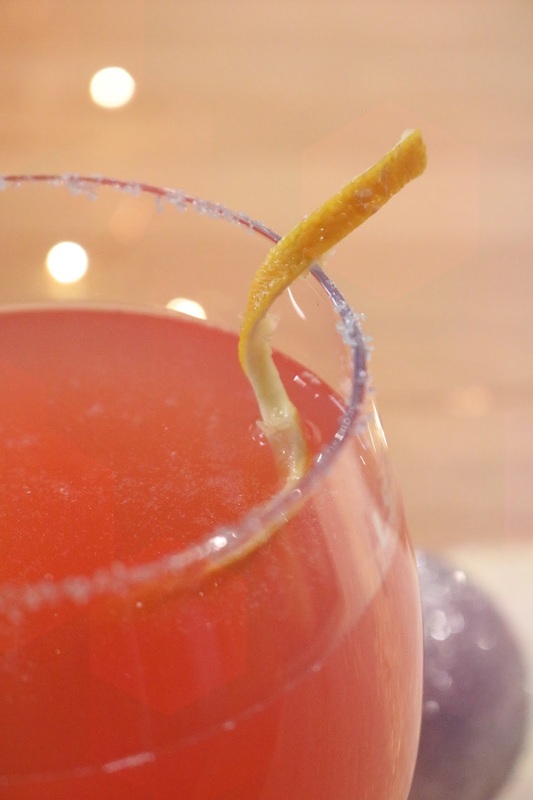 As with the previous mocktail, dip the rim of the glass in water and sprinkle edible glitter onto the glass - you can find edible glitter on Amazon or specialist baking stores. Combine the juice and tonic water as well as a squeeze of lemon as well as a twist of lemon peel. I added a little edible glitter into the mocktail as well but it doesn't show up very well so maybe try and find metallic or gold looking edible glitter instead. I love the Pago Rhubarb and Pear juice, it's so sweet and delicious as well as being pink so it is the perfect base for a cute mocktail! Rhubarb and pear is also a great combination to pair with other fruits such as pomegranate juice. I think edible glitter, sugar frosted glasses and cute straws are essentials for festive mocktails this season or for your New Years eve parties! Additionally, you can add the Pago Juice to alcohol as well, it doesn't just work well with non-alcoholic mocktails. I might update this post soon with a couple more ideas so stay tuned! Have you tried any of the Pago Juice flavours? 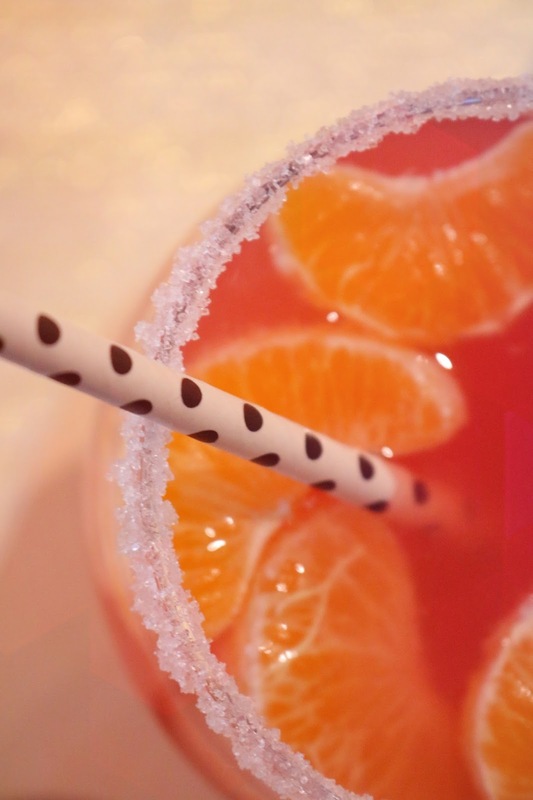 Do you think of mocktails? 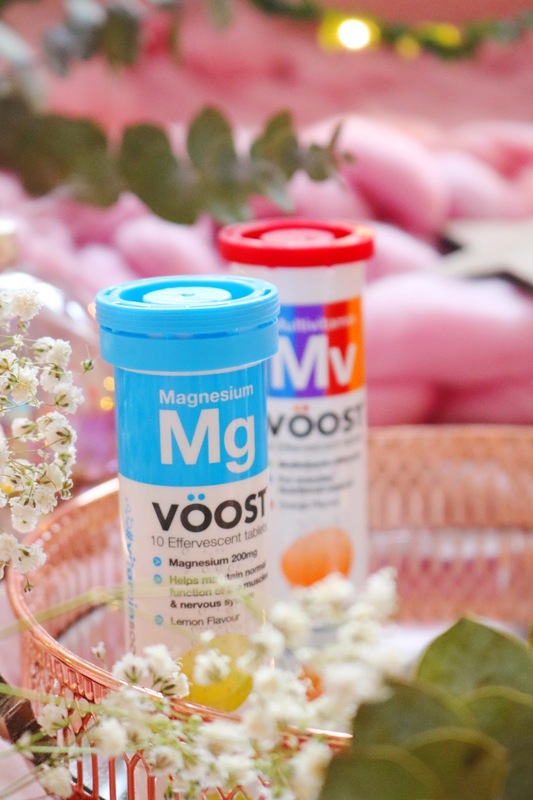 Today we're taking a break from all of the Christmas and gift guide posts to focus on a more health, fitness and self care themed post featuring VOOST multivitamins and supplements. I was kindly sent four of their vegetarian options which includes Vitamin B, Vitamin C, Magnesium and their general multivitamin tablets. I have been a vegetarian since I was around 11 years old which is a very young age to be making such a massive lifestyle change but I'm glad I did and I've stuck with a vegetarian diet since then. Recently I've been slowly altering my diet to a more vegan and plant based opinion. I chose to change my diet based on moral reasons but whatever your thoughts are, plant based diets are some of the healthiest; however it isn't easy for everyone to have a healthy, balanced and fully nutritious diet all of the time so that's where VOOST supplements come in! A government survey found that in UK 70% of people aren't eating the recommended amount of fruit and vegetables eat day (and people want criticise vegetarian or vegan diets...) which is where amazing sources of vitamins, fibre and minerals are found. Obviously the optimum solution is to eat more fruit and vegetables but we all know that it isn't attainable all of the time, even for a vegetarian as there are those days when we don't have time to cook healthy meals, we eat out, we don't have the energy to cook or we just want to eat a tonne of pasta and doughnuts. Multivitamins and supplements are great extras that you can add into your diet with little effort but with an essential boost to the amount of multivitamins and minerals consumed. Taking a multivitamin each day should be something most of us should be taking, going off the government survey but I find that difficult - I've never liked taking pills of any form so these effervescent tablets are the perfect alternative as they dissolve in water. The supplement I've been taking the most is the multivitamin option which contains 14 important vitamins and minerals including iron, zinc, folic acid and more. They dissolve quickly in 200ml of water which makes them very easy to take and this one is orange flavoured so to me it tastes like slightly fizzy orange cordial. Magnesium is important for the body as it helps to maintain normal function of the muscles and nervous system as well as the maintenance of healthy bones and teeth; additionally it can help to reduce tiredness which is definitely needed at this time of the year as I feel like I'm perpetually tired. It has a lemon flavour and to be honest, it's my least favourite out of the four I was sent but it's still tolerable. Next up, we all know that Vitamin C is good for you but why? It helps support the immune system (ideal for the time of the year when everyone is full of a cold or a stomach bug), it's contributes to normal collagen formation and helps with tiredness so I think everyone should be taking vitamins C during the autumn and winter months. It has a blood orange flavour which is one of the nicest I've tried. Lastly, Vitamin B which helps contribute to a normal metabolism, normal red blood cell formation, normal functioning of the immune system and it also helps reduce tiredness and fatigue. It has an apricot and peach flavour which is a little unusual for a supplement but I like it, it's one of the most palatable. 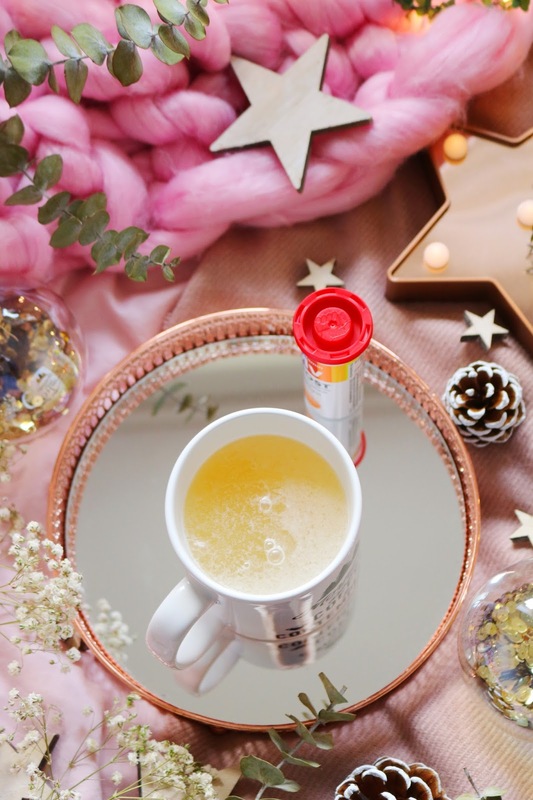 I think at this time of the year when we're all unusually busy, full of colds and even more tired, it's important to look after yourself and taking a multivitamin or supplements, especially when they can just be dissolved in water is such an easy form of self care! 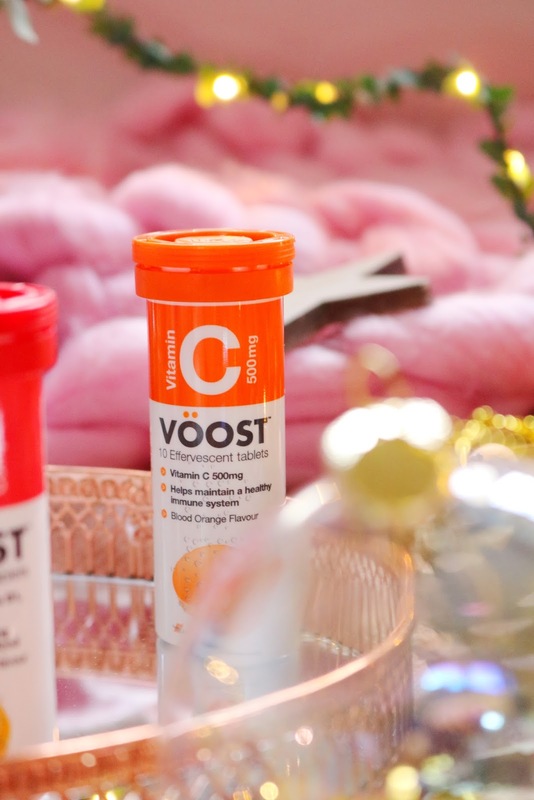 Eating healthily, exercising and getting all of the vitamins and minerals you need is so important for your body to function at it's optimum level and for you to be the best and healthiest you can be so put a fizz in your step and check out the VOOST supplements! They are currently 3 for 2 on the Superdrug website. Have you tried any of the VOOST multivitamins or supplements? Do you take any multivitamins? How is it almost Christmas! The older I get, the faster time seems to go by. Usually I'd have one more expensive present that I'd ask for but this year the more expensive items I'd want, I have already bought for myself such as my new iMac and iPhone 7 so my wish list is more of a mix of smaller items instead which I love as it means there's more to unwrap! You know that you're getting old when books, diaries, mugs and candles are on your wish list rather than loads of makeup, DVDs, video games or clothes. I love cute homeware and candles so naturally they're on my Christmas wish list - I haven't tried any Woodwick candles but I'd love to. I have so many books on my wish list and saved items on Amazon but these two are at the top of my list, especially as I just made an order for a tonne of books - to me, from me as it's almost been one year since I passed my driving test and I'll take any excuse to buy more books. 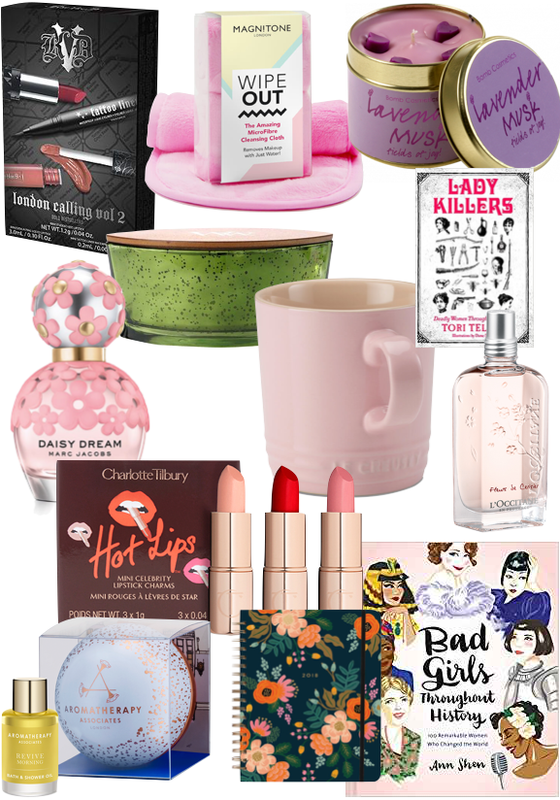 I do have quite a few makeup and beauty items on my list including to perfumes that I've had before and I adore both of them, particularly the L'Occitane Cherry Blossom fragrance which is one of my all time favourites. There are a few brands that are new to me as well on my wish list this year including Kat Von D (which I need to try ASAP!) and Charlotte Tilbury. I also have my eye on: Ugg Slippers, Anna Karenina by Leo Tolstoy, Christmas Eve Bubble Bar and all of the Stranger Things merch on Truffle Shuffle. What do you think of my wish list? Do you have any of these products? What's on your christmas wish list this year? I think we all love a good subscription box but they can be a little generic; however this one is a little different to the rest. 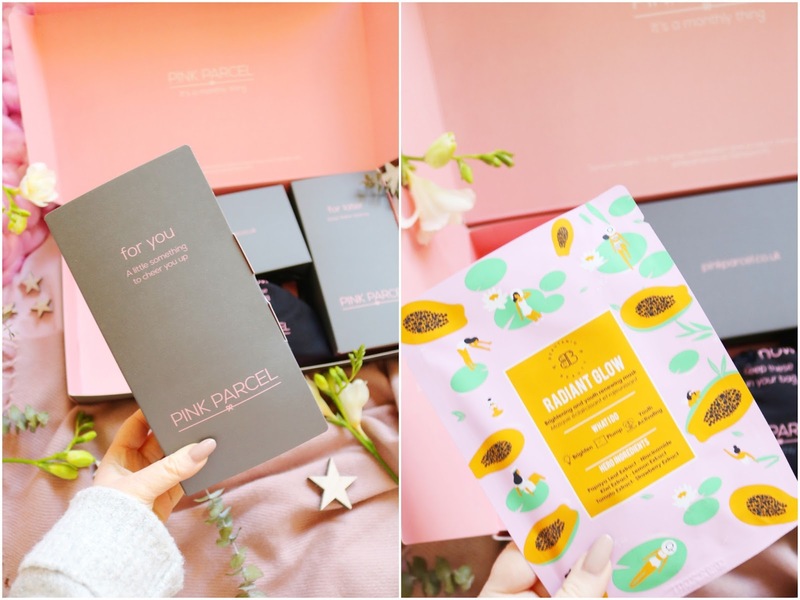 Pink Parcel is a monthly subscription box that focuses on periods and pampering as during that time of the month, pampering and self care is a necessity. You can get a box for only £12.99 per month with free delivery! 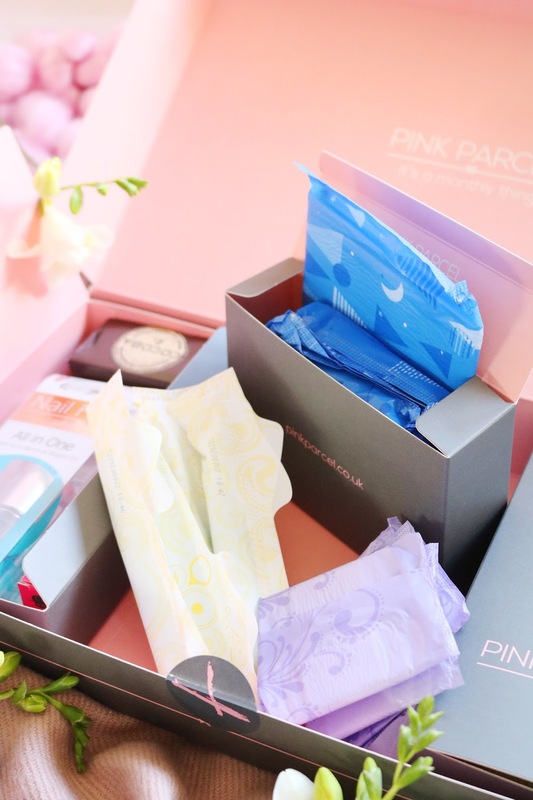 The boxes are great value for money as not only do you receive some period essentials such as pads and tampons but you also receive lots of pampering products - the total value of the box is over £40 which is amazing. You can choose tampons, pads or a mixture of both, whatever you use. This is my first Pink Parcel box and the timing was perfect! 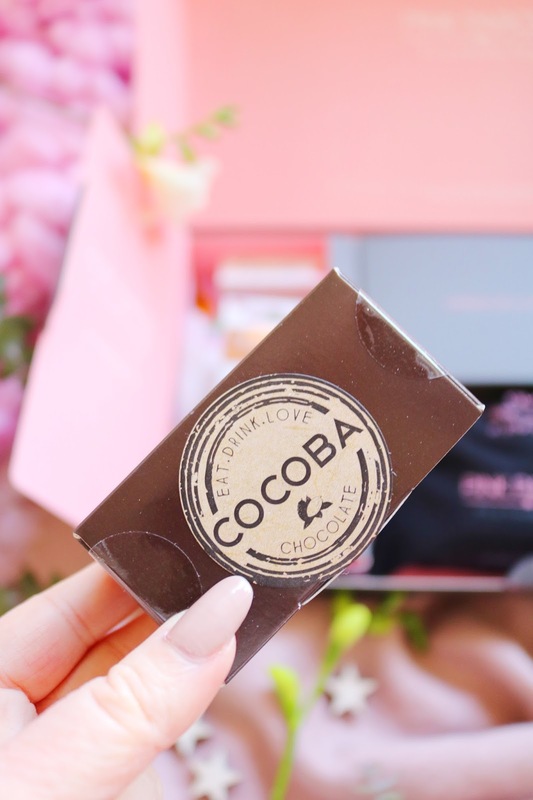 Unlike other subscription boxes, this one is packaged so beautifully and I love that the products come within smaller boxes so it's more of a mystery each month. It's such a pretty and well put together package on the whole which I wasn't expecting for the low price point. Within the November box I received a load of pads and tampons as well as so many mini and full size pampering products from hand sanitiser, lipstick sealer, a highlighter, nail care, tea and many more products, none of which I've tried before. There are so many lovely pampering products in the box as well as makeup items so let's move onto them. The Beauty Crop Glamazon Stick is a creamy highlighting crayon that is infused with cocoa butter and jojoba oil. It's a gorgeous but subtle golden highlighter that I've been using as an inner corner and brow bone highlighter - it's one of the nicest highlighters I've tried in a while. Also the packaging is so gorgeous! The second makeup item is one I have tried but it was years ago - Lipcote is such an iconic brand that has been around for over 70 years. It's a lipstick sealer that I remember working really well but it did sting a little however I might give it a go again. 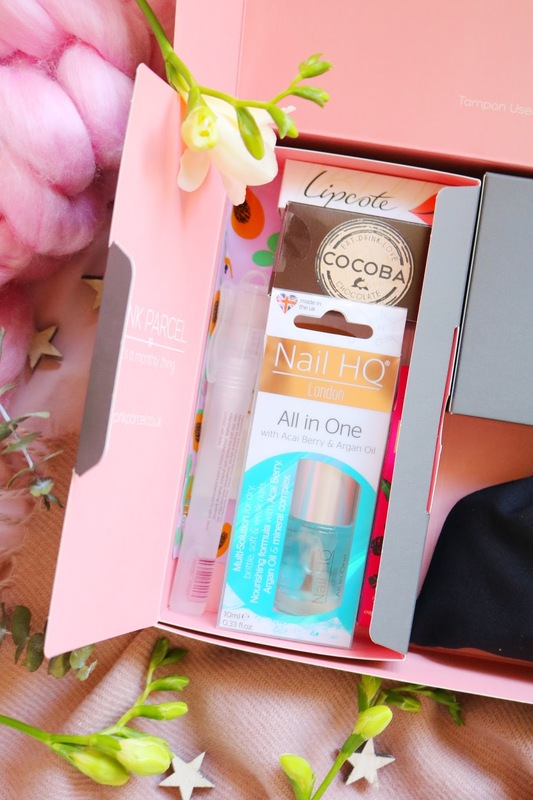 One product I always forgot to use are nail care products so this Nail HQ London All In One Multi-Solution is a great addition to the box for me. It contains açai berry and argan oil for dry, brittle and weak nails which doesn't really describe mine but I'll definitely give it a go. Another product I have been neglecting to use recently have been face masks. 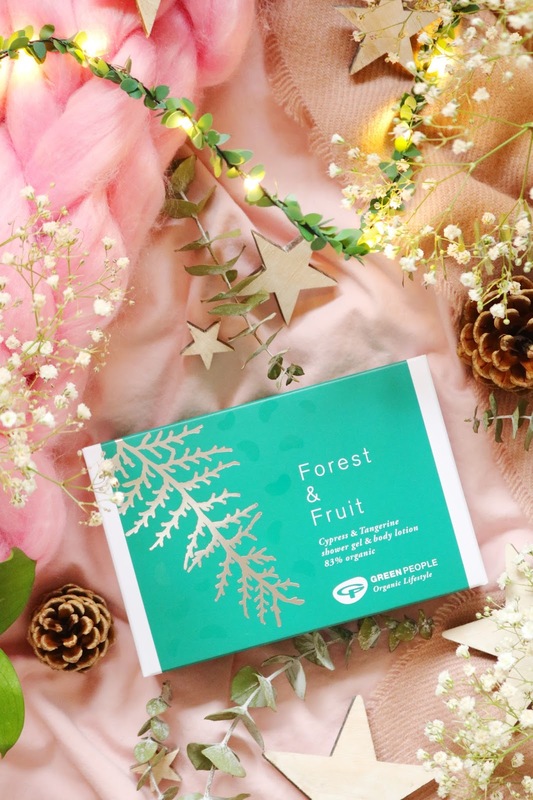 The Beautanio Beauty Radiant Glow Sheet Mask is an adorable inclusion that is designed to brighten and plump the skin with papaya leaf extract, lemon extract, niacinamide, kiwi extract and more. It's a brand I haven't heard of before but I cannot wait to try it as my skin definitely needs to TLC. Next up is a perfect handbag essential as it's the Swiss Clinic Sanitising Spray (10ml). I haven't seen a santizer in a spray bottle before but it's a great idea and ideal to keep in your handbag or in your car for when you need it. Lastly for the pampering section is a sample of the Cuppanut Ginger and Tumeric Infusion Tea which I tried almost immediately and I love it. I am not a fan of 'normal' tea but I do love herbal, mint and green tea. Ginger is meant to be great for settling the stomach so it might be useful during your period - I don't know about you but I can feel so nauseous at times. Lastly, as it's the UK's No.1 period box, there are obviously pads and tampons within the box! I have a mixture of tampons and pads but you can choose whichever you want. There are tampons as well as various sizes and types of pads which are separated into daytime use, nighttime use and sanitary pads/tampons to keep in your handbag. I think this subscription box is a genius idea and I don't know why someone hasn't thought of it before! It's a practical but pampering box that is ideal for your time of the month as at that time, you need to make self cafe a priority. I wasn't expecting such a well presented box with so many items for the price - it's amazing value for money and I cannot recommend it enough! 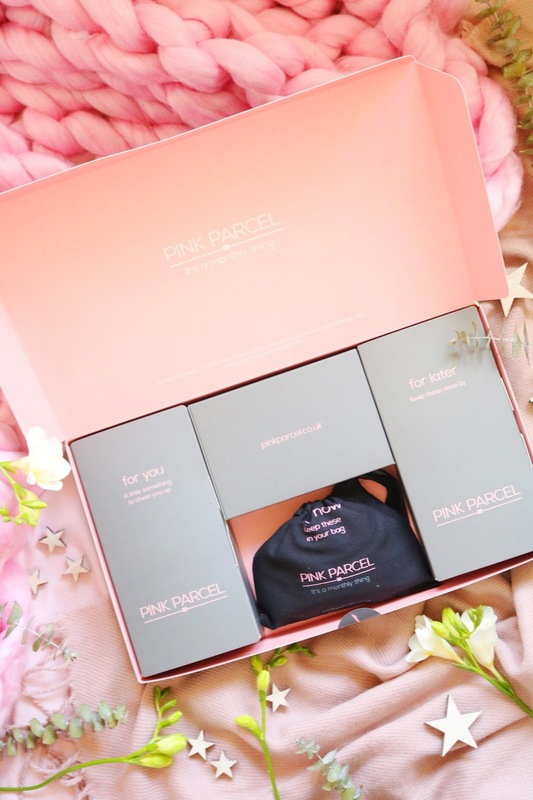 Have you tried a Pink Parcel box? Have you tried any of the pampering items included? 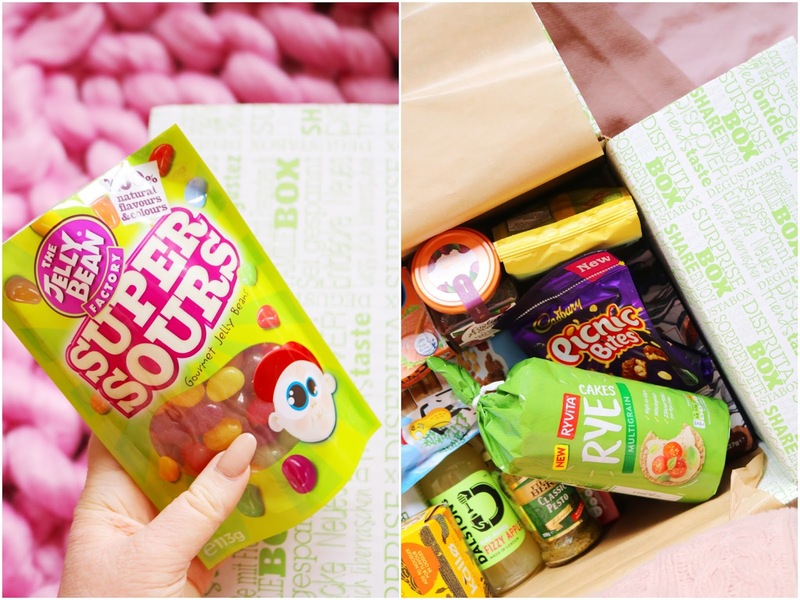 I've absolutely loved receiving the DegustaBox over the past few months and the November box is no different! Each months box contains between 10 to 15 food, drink and snack items which I think is fantastic considering the super low price and if you use the discount code KVAA2 it will make the box only £5.99 instead of £12.99. 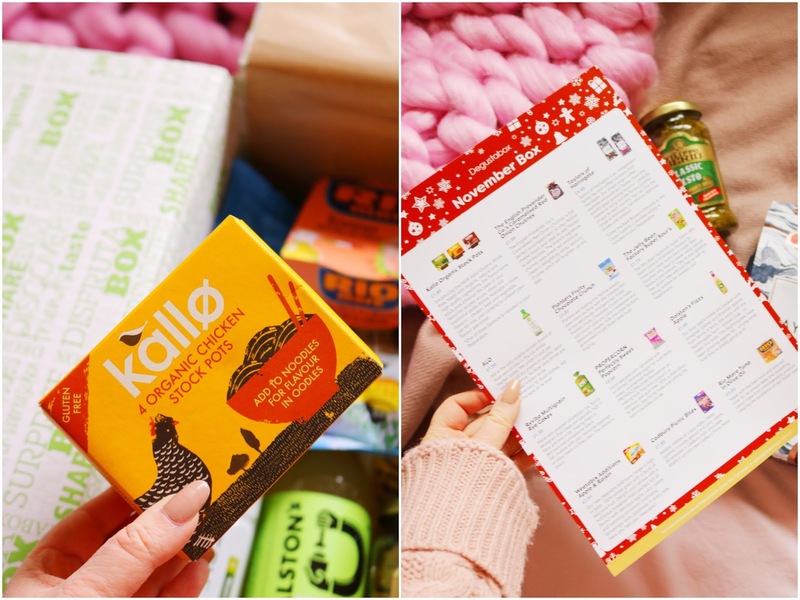 The November box, to me, seems like one of the most diverse that I've received so far as it contains sweets, chocolate and snacks as well as meal extras, healthier options, breakfast items and a couple of more unusual products such as aloe vera juice! Let's start with one of the most exciting items in the box, in my opinion and one of the most beautifully packaged too. 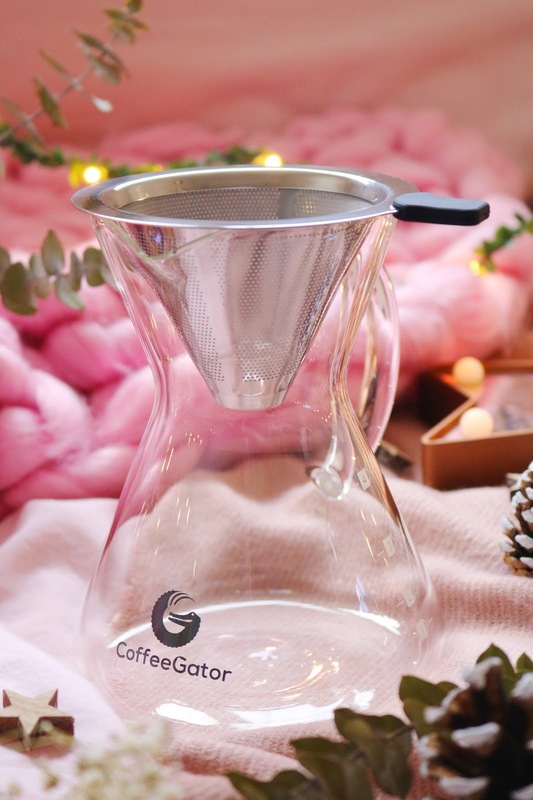 I love coffee, I drink it at least one a day so this item is perfect for me especially as I've recently received a lovely pour over coffee maker from Coffee Gator which you can see in my Foodie Gift Guide. It has berry, floral and chocolate flavours which sounds a little odd but I can't wait to try it! As I'm an ambassador I receive items from other boxes that you wouldn't usually receive so I received three Filippo Berio items but you will only receive one of the three. These crostini, which seem like mini bruschetta, sound so delicious and they'd be a great snack for dipping or as mini bruschetta for Christmas or new year party appetisers. Unlike some of the other boxes, this one contains quite a few healthier options such as this massive bag that includes peanuts, milk chocolate buttons, jumbo raisins and sliced cranberries. The first thing I thought of after reading the packet was how great it would be to add to cookies, muffins or porridge/granola! I might make some Christmas cookies with this selection of nuts, chocolate and dried fruit. I actually already have this product in my kitchen, although it's only half empty now so it's great to have another. I included this chutney within one of my recently Christmas gift guides so you can check it out if you want to see more from this brand and gift ideas. They're great gift options and they are perfect for the festive season. I do love chocolate bars from time to time but one that I've never tried is the Cadbury Picnic bar! 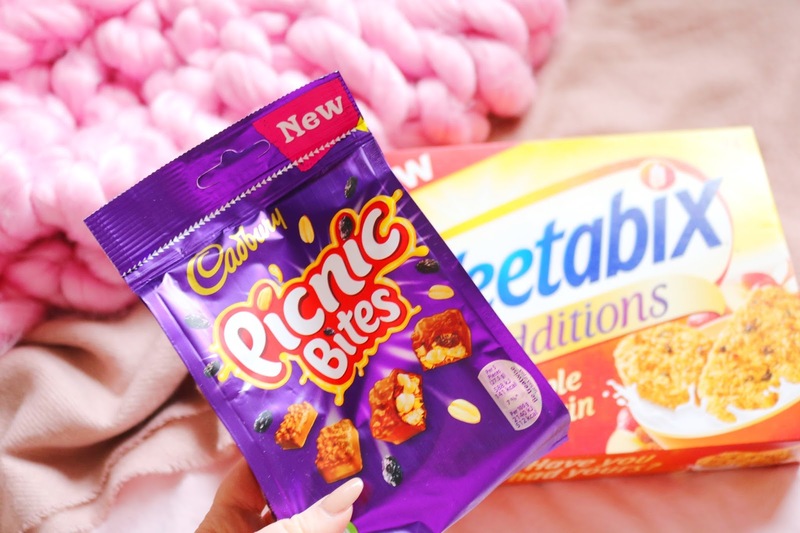 The Picnic bar contains a crisp wafer, chewy caramel, peanuts, raisins and Cadbury milk chocolate - I'm not sure that it sounds like something I'd love but I'll definitely try them - they are new! One thing I love about these boxes is that a lot of the items are new to the market. A couple of months ago, I received the coconut and raisin version of the Weetabix Additions and I love them - I finished the box a week or two ago so I'm glad I have a new option to try. I didn't know if I would like the coconut and raisin option but I know I'll love this apple and raisin variation! I was ready for disappointment when I read the ingredients as usually jelly beans aren't suitable for vegetarians but these are! I couldn't even wait to take the photos before opening the packet...oops. I love the blue raspberry, cola, orange and lemon flavours the most. It would make a great stocking filler - a DegustaBox subscription would also make an amazing, thoughtful and practical christmas gift especially for students. I haven't tried Ryvita products for so long but I used to like them so I'm interested to give these a go especially as they are wholegrain, high in fibre, there's only 23 calories per 'cake' and 1.2g of fat which is pretty good. This month's box doesn't contain any alcohol which is definitely fine with me as this one is so delicious! 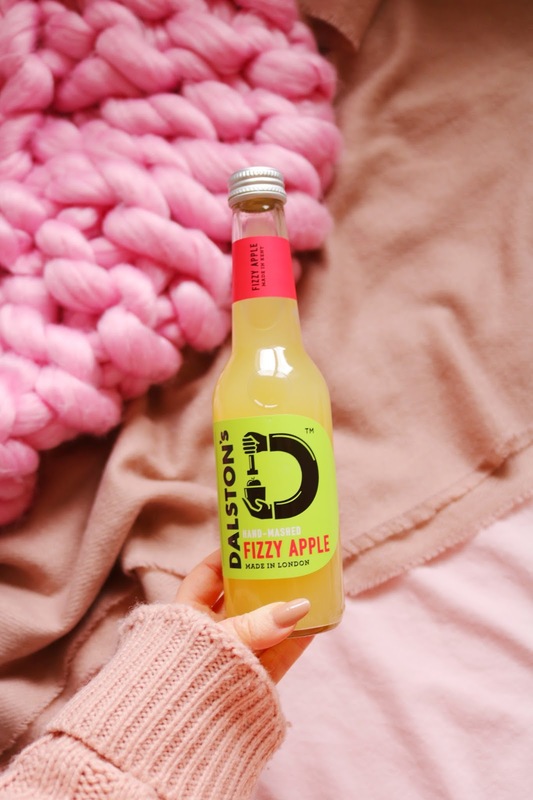 It's handmade in London using Jonafold, Idared and Bramley apples so it's moreish and not too fizzy. Now onto one of the most unusual items in this box and it's aloe vera juice with cucumber and melon. I don't think I've tried an aloe vera based drink before and I'm a little hesitant. It's crafted in the San Fransisco Bay Area and contains Vitamin A, Vitamin C, Iron and Calcium. I received the chicken option but you could have received beef or vegetable in your box. It's an item I won't be using as I'm a vegetarian but I will definitely pass it onto a friend who will. I do love this brand, especially their vegetable and mushroom stock cubes, both of which I'd definitely recommend. Another item I won't be using, I've never liked tuna even when I wasn't a vegetarian but I know that my mum will definitely use it - probably for lunches. It's an Italian brand and the fish is line caught which is more sustainable which is something! If you like the look of this box then use the code: KVAA2 to get it for only £5.99 which is an amazing discount! What do you think of the November Degustabox? Will you be taking advantage of the discount code? I have been on a little bit of a roll over the past couple of months with my reading after a slump over the summer! I've been lucky enough to receive quite a few ARC/review copies over the past few weeks from lovely publishers *thank you*. Today's post is a review of three books I was kindly sent recently. This month I've read quite a lot of thrillers and horror books and this one was next on my list. I was kindly sent the ARC along with some chocolates - is there anything better than books and chocolate? The answer is no. I love a good thriller but I haven't read many until November and I'm loving them as they're so entertaining, mysterious and quick to read. 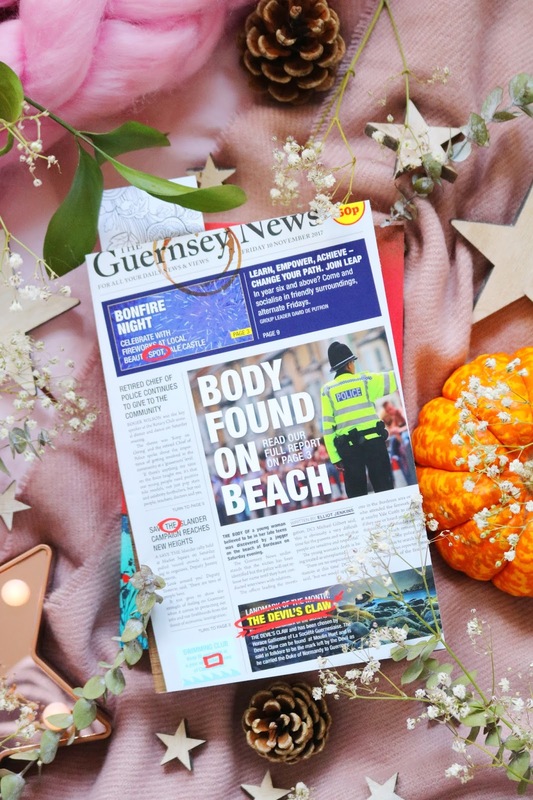 We follow Jenny, a journalist who has moved back to the island of Guernsey after some kind of traumatic event in London as she tries to find and uncover a front page story that takes a sinister and personal turn. I don't want to say any more about the plot than that as it is a thriller so I don't want to give anything away and it's always best to go into books like this without knowing a lot about the plot. 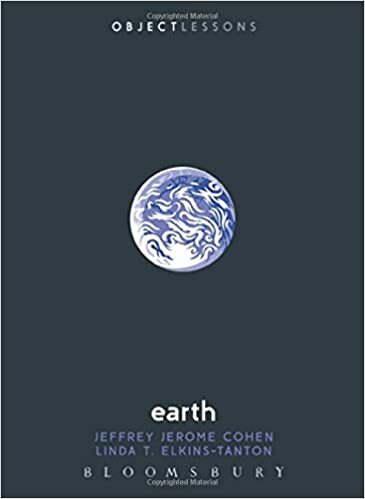 I liked the writing style as well as the short chapters which allows me read it very quickly - I think I finished it in about two days as I was able to read it at lightning speed. It was an entertaining and interesting story, I liked the characters and the mystery but the best part was the mentions of the occult, history and folktales of the island and the setting of Guernsey which I adored. Overall it fell a teeny bit flat for me but it was definitely entertaining and I'd still recommend it - especially if you are a fan of the TV show Shetland as there are similarities and a comparable atmosphere. How gorgeous is this cover! I have to be honest and admit that book covers definitely drawn me in, sometimes more than the blurb or reviews...I don't know how to categorise this book other than a contemporary with psychological and apocalyptic elements as well as being more of a character focused story. It wasn't exactly what I'd hoped for overall but it was entertaining and compelling on the whole. We follow an Australian family and their average street of nosy neighbours from the beginnings of a new disease epidemic. It isn't a new concept but I think the way it was focused on the family in such detail is and it made me feel quite constricted and claustrophobic as they quarantine themselves from the new and deadly Manba virus that is spreading across the globe. I like the writing style, the family felt very familiar and vivid, it was heartbreaking at times and it was a very quick read for me even though it is not far off 500 pages. I liked the overall story as it was entertaining and I wanted to find out how everything would end for the family and their neighbours. However, I found it a little slow at times and the mum, Hannah, was so neurotic and frustrating as a character. I think it will definitely appeal to a lot of people and I would recommend it; however it just wasn't as action packed, tension filled or as completely compelling as I hoped it would be but that's just my opinion - I think it would make a heart wrenching movie! The final book in this post is a non-fiction book, I really need to read more non-fiction and I think that this year I have *maybe* but I'm making it a goal of 2018 to read a little more non-fiction as well as longer books and classics. 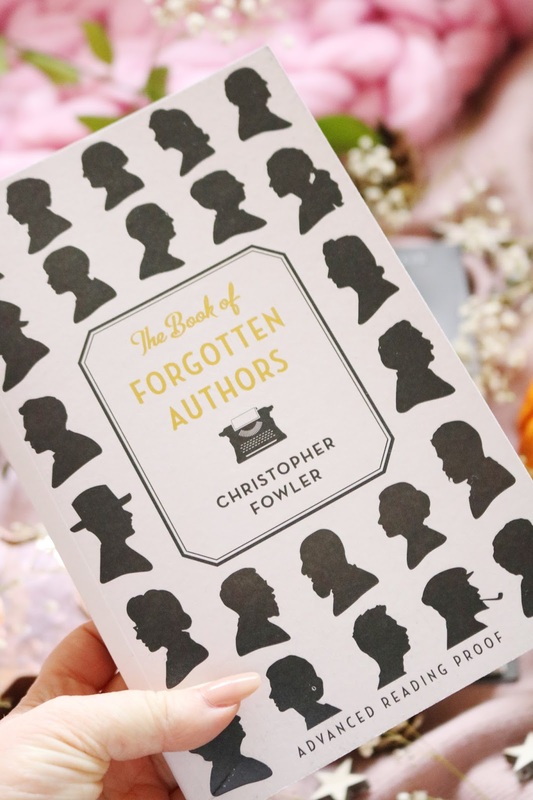 This one seemed a little unusual as it looks at 99 authors who for some reason or another have become forgotten over time. 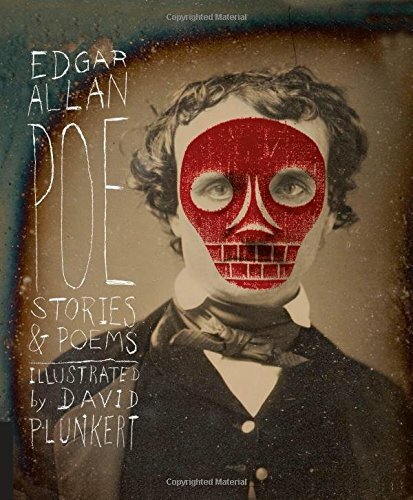 I adore the cover, the premise is so intriguing and as there are only a couple of pages per author it's quite an accessible book and definitely isn't as intimidating or as dry as it might seem. It was actually quite entertaining and I had to keep putting the book down to google an author or one of their books. 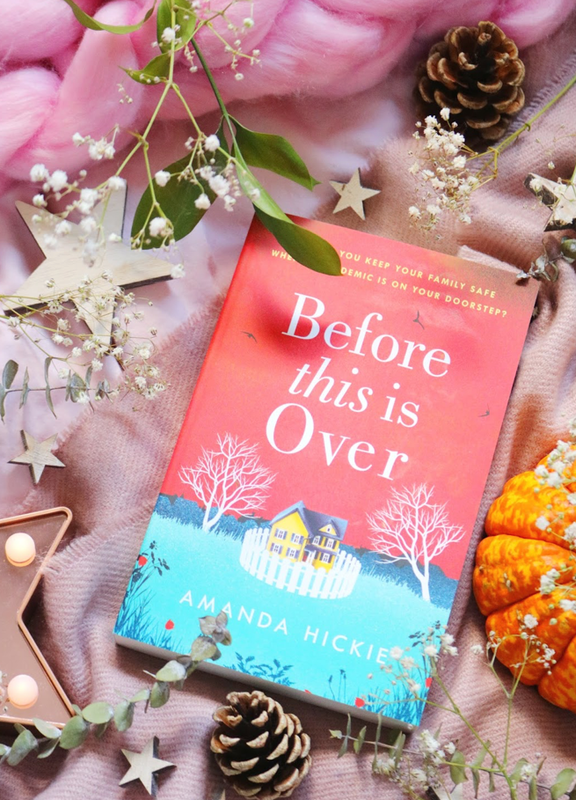 I adored the first half but the format became very repetitive over time which lowered my star rating for the book but it is a great read especially for those who love books - it would probably make a great Christmas book for book lovers! Have you read any of these three books? What are you currently reading? I don't know about you but this year has just gone by so quickly, especially the past few months and Christmas is almost upon us! 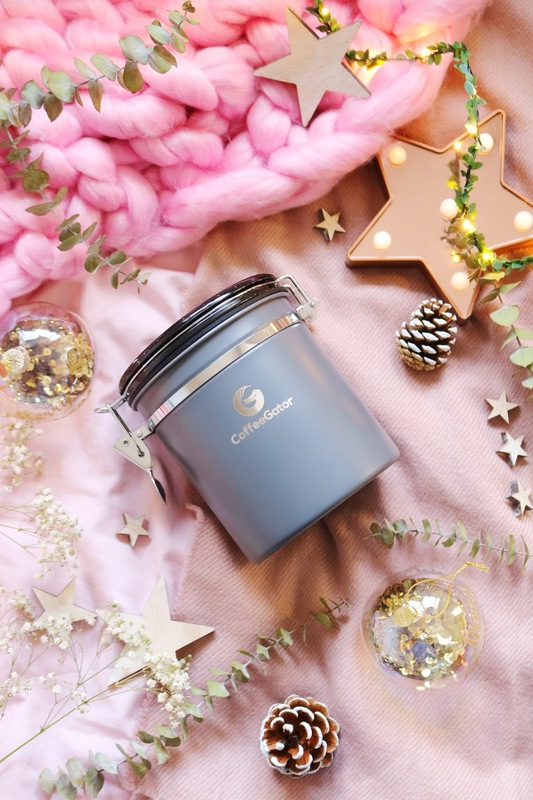 If you're like me and you need to be super organised otherwise you'll become so stressed and anxious then I hope these gift guides will be useful for early Christmas gift ideas! I've already posted a few gift guides including my latest pampering gift guide for him and her (and it features a new giveaway!) 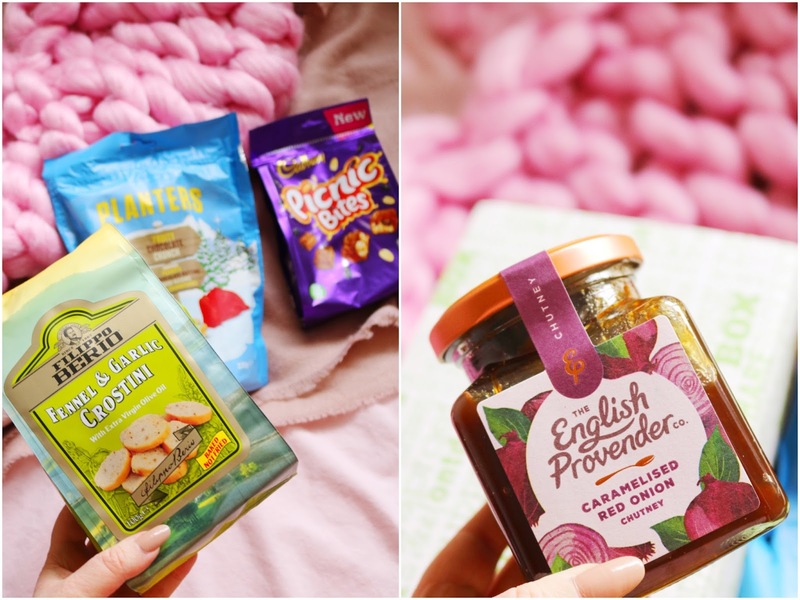 but today's post is a little different as I'll be focusing solely on Christmas food, alcohol, coffee gifts and unusual foodie items for friends and family this year! Thanks to Coffee Gator, Summit To Eat, Hofmeister, Elizabeth D Bakes, The Nut Kitchen and Vilarnau Barcelona. Let's start with one of the most interesting and beautiful items in this gift guide, although it's hard to choose! 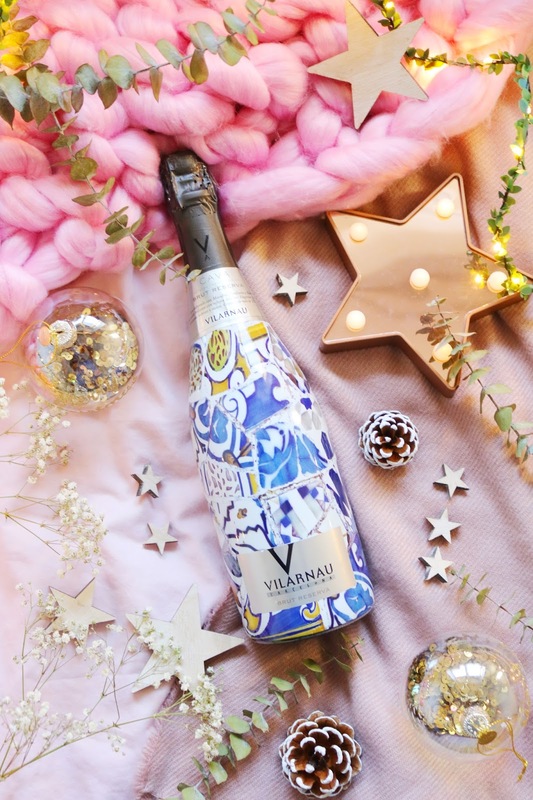 If you know someone who drinks then alcoholic gifts or gift sets are such easy, safe gifts but so many of them either look quite cheaper or on the other hand, they can be very expensive but this gorgeous bottle of cava is at such a great price point! It won the gold medal at Tom Stevensons Champagne & Sparkling Wine World Championships for the best Spanish sparkling wine (2017) which is fantastic. It's a blend of Macabeo, Parellada and Chardonnay that is aged for two years. It's "rounded in the mouth, the wine offers a perfect balance of flavours. It is rich and smooth with a very pleasant". I don't drink very often apart from special occasions such as weddings, Christmas and New Years eve and this would be perfect for the upcoming festive season. I actually really like this cava, it's delicious (can you describe anything alcoholic as delicious...you can tell I'm not a wine connoisseur!). I think it would make a fantastic Christmas gift for colleagues, friends or family - it's a perfect all around option especially as it looks unique and striking so it's bound to get people talking. Next up, one of my favourite items as we all know how much I love coffee, maybe a little too much...Coffee Gator is a new brand to me but I love it already. Coffee gifts are be ideal but I think quite a few are so generic but these three items are unique and nicely presented gifts for the coffee lovers in your life. I haven't seen a pour over coffee maker like this before, it looks so unique and fancy! To use, you just use your pre-ground coffee, add it to the filter and slowly pour over hot water as your coffee slowly drips through the filter. It makes three cups which is approximately 400ml of coffee and it is super quick and easy to clean. I've been using it for the past week or two since I received it (I have the memory of a goldfish recently) and I'm loving it. 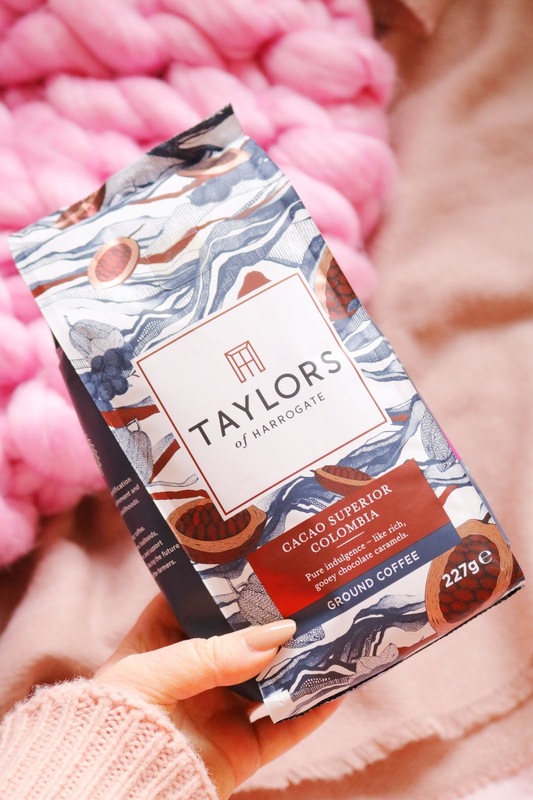 I've been using my Taylors Of Harrogate coffee mostly and it's perfect but I only get two cups out of it as I use massive mugs for the maximum amount of coffee each time! Any coffee lover would adore this pour over coffee maker as it not only looks amazing but it's a different gift to receive, it's made to a very high standard and it's a useful, practical gift. You can see how gorgeous it is in the video below. Next up is an item you could gift alongside the pour over coffee maker, it's a coffee canister with a difference. It's not only a nicely made, high quality canister to store your coffee beans or ground coffee in but on the lid it has a tracking disc so you can add the day and month your coffee will expire - how genius is that! Additionally the canister has a built in value within the lid that releases carbon dioxide keeping your coffee fresh! It comes with four extra valves that can be replaced every 12 months or so to make sure the contents of the canister are as fresh as possible. A 1/8 or 30ml measuring cup is also included within the box along with instructions and cleaning/care guidance. I have the medium size which is huge so it will be able to store a large amount of coffee within it or maybe it could even be used for biscuits and other items that need to be kept in an airtight container? I think it would be a very practical and useful everyday gift that would be ideal for a coffee lover. I cannot recommend it enough! Last but not least from the wonderful Coffee Gator is their French Press (I can't find it online for some reason!). It features thicker surgical grade stainless steel thermal walls that keeps your coffee hotter for longer and the double layered filter means a cleaner cup. It has a huge 1000ml or 34oz capacity which will make approximately six cups. It's such a well made, very heavy French press (aka. a gigantic cafetiere) so it would make a substantial, luxe gift for the coffee lovers in your family. It matches the canister and so it would be great to buy as a set because they'd look great together. It's very quick and easy to use despite the weight of it and it is so easy and fuss free to clean as well. I think it would be perfect for new home owners, families or anyone who loves coffee. I cannot recommend these three Coffee Gator products enough! Next up is a kit that is probably one of the most unusual but oddly practical and applicable gifts you'll see in one of my gift guides! 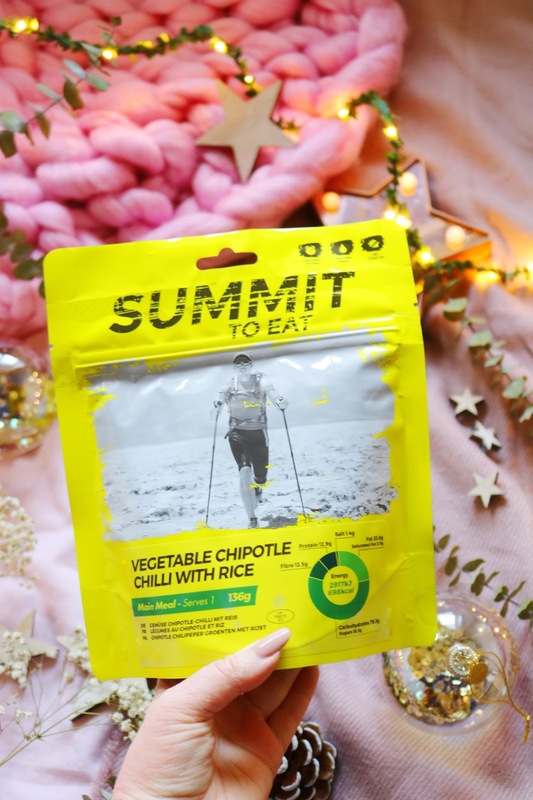 Summit To Eat creates freeze dried meals that would be perfect for hiking or prolonged outdoor exercise, camping or for festivals as each meal is so incredibly easy to make as you only have to add hot water to the packet - no pans needed. I was kindly sent the vegetarian 'festival kit' which contains macaroni cheese, vegetable chipotle chilli with rice, scrambled egg with cheese and morning oats with raspberries. Each packet is one serving and they are fully cooked within ten minutes in the packet so there's no clean up needed. I've only tried the macaroni cheese so far, although not all of it as I'm reducing my calories and fat and these aren't ideal for that. As they are freeze dried, I thought the macaroni cheese might be a little grainy, powdery or potentially very bland and boring but it's surprisingly good and moreish! I think if you've had a long day at a festival or camping then these are fantastic quick and easy makeshift meals that are actually so delicious. I haven't tried the others but the scrambled egg with cheese sounds great as does the morning oats with raspberries. As I said, I have the vegetarian kit but there are other kits available and you can buy individual packets too - there is so much choice. 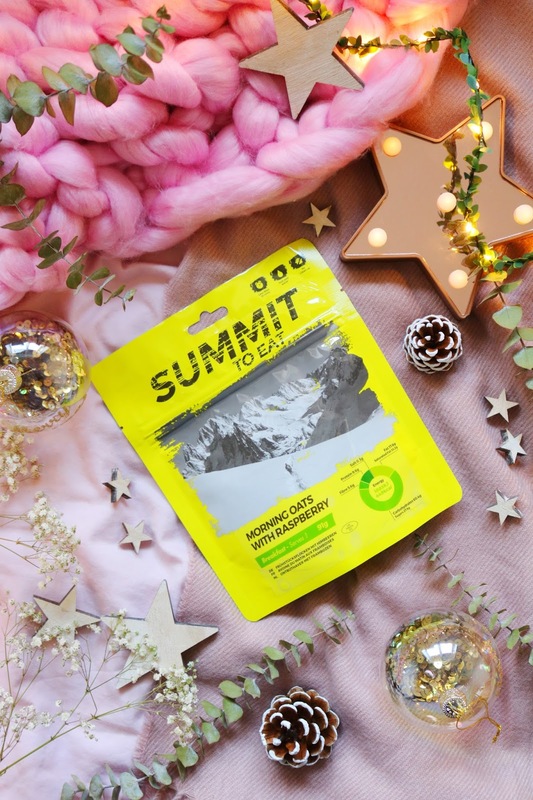 I think these kits or packets would be great presents or individual stocking fillers for those who love the outdoors, camping or are festival goers! It's also quite a quirky and unusual but interesting and practical stocking filler idea that no-one will be expecting. Confession - I've never tried stollen...I know, what's wrong with me! Thankfully I started with a very delicious offering from the lovely people at Elizabeth D Bakes. This gluten free stollen contains cranberries, pistachios and orange as well as mixed spices, cinnamon and marzipan - all of the Christmas goodies! This is the first stollen I've tried and I absolutely love it as it's pretty much Christmas in a box! I love the pistachios and orange as well as the 'sweet snow' on the top which makes it look so festive. It has such a soft, indulgent texture that definitely feels like a rich christmassy treat. There are various loaves, cakes, brownies and seasonal options to choose from and I have to say that the vegan pumpkin pie is calling my name! Additionally, there are boxed sets that would make yummy Christmas gifts, many of which are vegan so if you are vegan or if there's a vegan friend or family member that you need to buy for then look no further. It it suitable for vegetarians but not vegans as it contains milk powder. It is made from hand harvested Sicilian green pistachios and is crafted by Sicilian artisans. The texture is amazing as it's so smooth and creamy and it's ridiculous moreish. I could easily eat the whole jar (not all at once, or could I). I cannot recommend this enough, especially if you like Nutella or peanut butter as it's a wonderful alternative. I may or may not be eating it as I type. The final item in my gift guide is a super safe option for all the dads, grandads, uncles, husbands and friends out there! 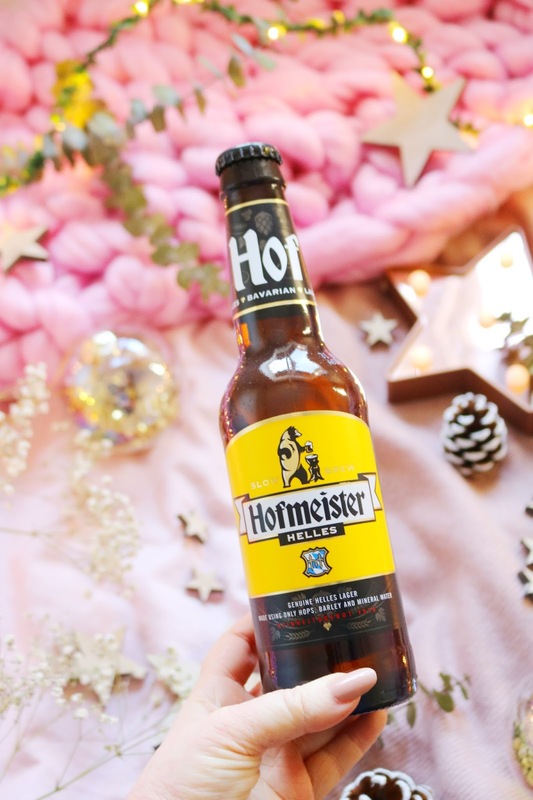 Hofmesiter Helles is an independently owned brewing company that recently won the 'best lager of 2017' award at the prestigious IWSC Beer Awards. It's made using only hops, barley and mineral water from the historic beer brewing region of Bavaria - it adheres to the Reinheitsgebot 1516 brewing purity laws. I was kindly sent a massive box of 12 bottles *thank you* which are 330ml each and have an alcohol percentage of 5%. I'll be honest and say that I'm not a frequent beer drinker but I actually like this one which is an achievement in itself! For me, it isn't something I'd drink often even though it's refreshing, dry and fairly mild but I know that my dad as well as my cousins would absolutely love it! It would be perfect to add to a food and drink Christmas hamper. For a limited time you can use the following code to get free delivery: FTBHOF17 - only while stocks last so go, go, go. Check out my video gift guide below and if you have any problems viewing the video, can you let me know asap! Also if you have any comments or questions, leave them in the comments section below. What do you think of my foodie gift guide? Have you tried any of these products? 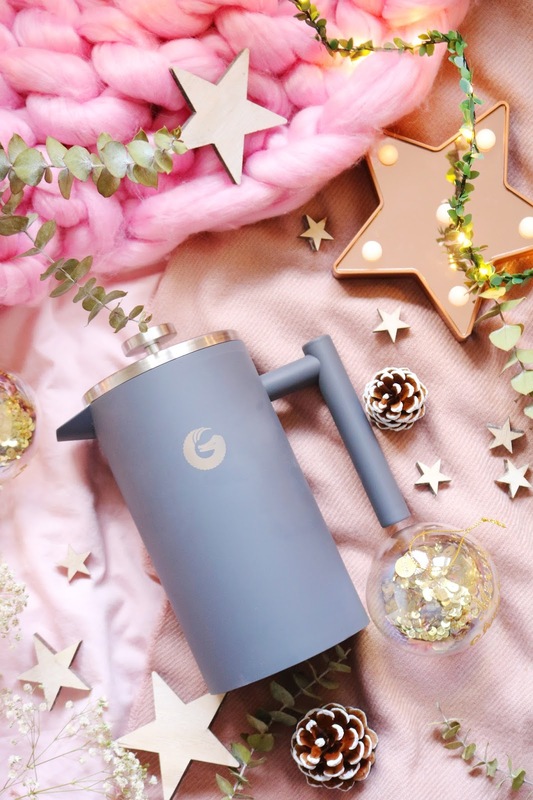 Christmas is fast approaching so gift guides are in full swing! I've already posted a few with more pampering gifts and today's post carries on from them but instead of just focusing on womens pampering gifts, I'm looking at a few womens gifts, mens gifts and unisex gifts that would be great gift sets this Christmas! I was very kindly sent a range of gifts from the wonderful Heathcote & Ivory, Temple Spa and Green People, all of which are gorgeous with some being inexpensive and others are a little more luxurious. 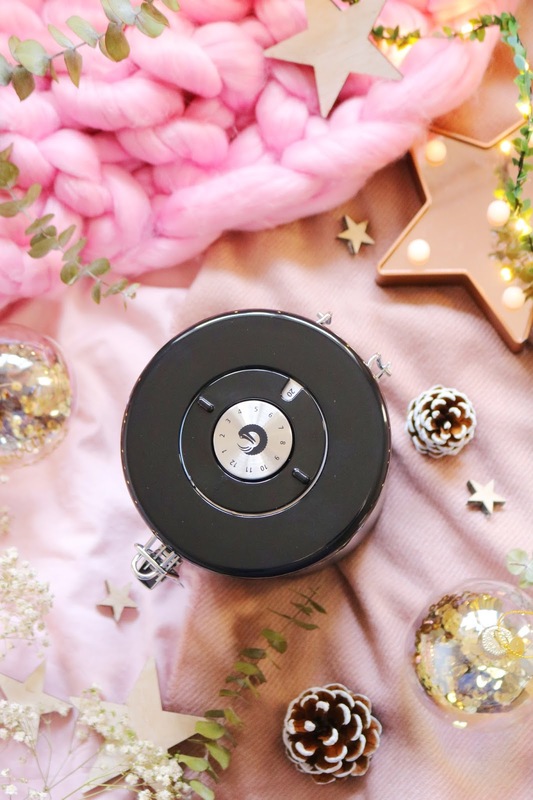 I've had a fantastic response to my early gift guides this year already so I hope you like this one and maybe you'll find some gift ideas for friends and family. Let's start with one of the most inexpensive items and one of the cutest! 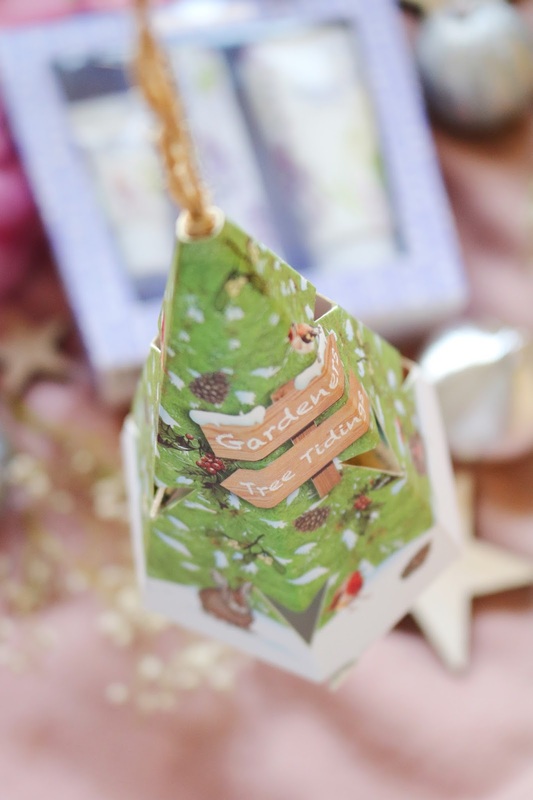 I love the packaging of this little gift set as not only does it look like an adorable Christmas tree but you could potentially hang it on your Christmas tree, if the branches are sturdy enough. The set contains three minis including a Shea butter hand cream (15ml), hedgerow hand cream (15ml) and relaxing bath tablets (25g). I think it's a great unisex gift set, I know my dad would use the hand creams and as they are minis, they are great for keeping in the car, by the sink or on a bedside table. I also think my aunties would love this cute set too! We all know how much I love lavender so this set is perfect! The packaging is so pretty and I think it's a great all around gift as it contains a hand and nail cream, hand scrub and nail file so I'd give it to my mum, aunties, neighbours or friends. The lavender scent is so nice and the sizes of the products are great too - the hand cream is a 100ml bottle and the hand scrub is 30ml. 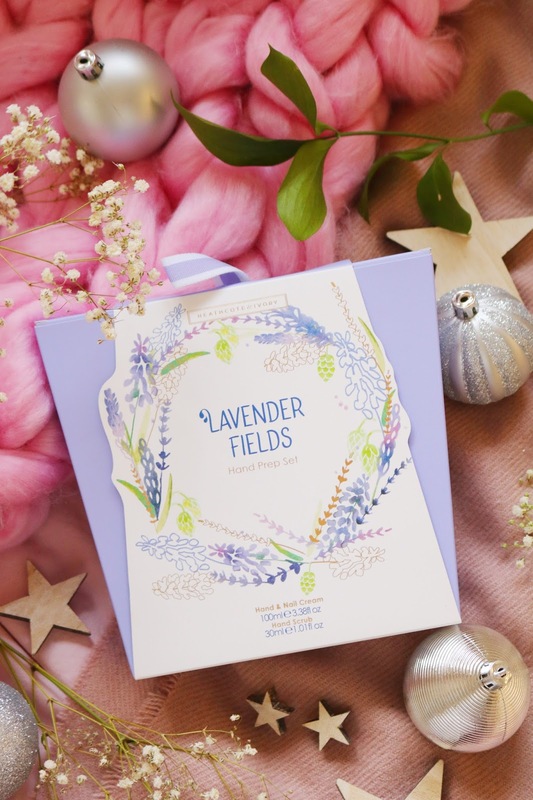 Within the Lavender Fields range, there are so many other products and gift sets including a bigger hand cream and wash set, soap, bathing flowers and even an eau de toilette so theres something for everyone. 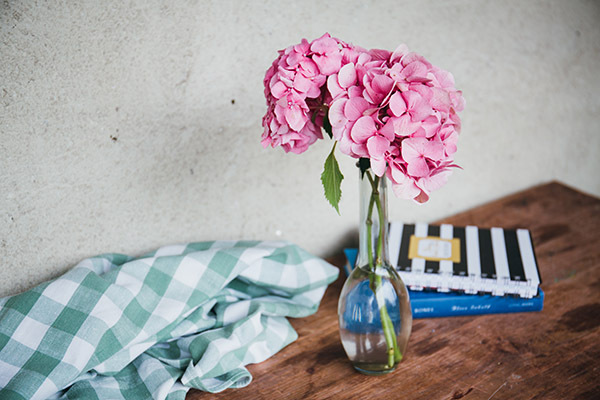 If lavender isn't your thing or you don't think your gift recipient will love it (first, what's wrong with you), then there are other ranges to choose from such as blush rose, sweat pea & honeysuckle and lily of the valley options too. Next up is a set that will be perfect for so many people, men or women as it looks so festive and it is filled with a range of products from haircare and a shower gel to a skin balm, hand cream and soothing balm for aching feet and limbs. I know that my mum or dad would be happy with this set so would my fussy sister! The items included are as follows: Good Hair Day frequent use shampoo, In Good Condition everyday hair conditioner, La La Lagoon aromatic bath & shower gel, Peace Be Still calming skin balm, Palm Balm luxury skincare for the hands and finally AAAHHH! soothing balm for aching feet & limbs. It's such a nicely presented, neat and beautiful gift that almost doesn't need wrapping as the box is so pretty. Each bottle is 50ml so you get a decent size of each to try out before maybe buying the full size. This set would be ideal for those who haven't tried the brand before or for those who travel often as 50ml is a perfect travel size. The products within the set contain Mediterranean botanicals and essential oils to match this luxurious gift set. Other ingredients include jojoba oil, lemon peel oil, chamomile flower oil, vitamin B5, dandelion leaf extract, sugar cane, bergamot fruit extract, tea tree leaf oil and many more. You can't have a pampering evening within a candle or diffuser! I adore candles but I know that not everybody does as they can be very overpowering and a fire hazard so diffusers are the perfect alternative, especially what it's as beautiful as this one from Temple Spa. The diffuser combines spices and botanical essential oils such as cedar wood, patchouli, bergamot, orange and cinnamon for this gorgeous festive fragrance. Some of the essential oils listed are some of my all time favourites such as patchouli, bergamot and cedar wood so I knew I was going to love this diffuser instantly. It not only sounds amazing but the box is so pretty as well. The style is similar to the Bon Voyage set with the deep background and foiled design on the front. However, the beauty doesn't need there as looks at how stunning the glass bottle of the diffuser is! I didn't expect it to look so gorgeous as on the website it looked mainly black but in the light it has a clear botanical pattern all the way around the bottle - the design matches the one on the box. I honestly don't think I've seen a more beautiful diffuser! It also comes with black seven diffuser sticks to match the black design of the bottle. It's such a luxe, fancy diffuser that will definitely turn heads and I know so many of my friends and family tat would love to find it under the tree on Christmas Day. I cannot recommend these two divine Temple Spa gifts enough! Now onto a gift that is ideal if you know that your gift recipient has sensitive skin or if they are vegan as this set is perfect! 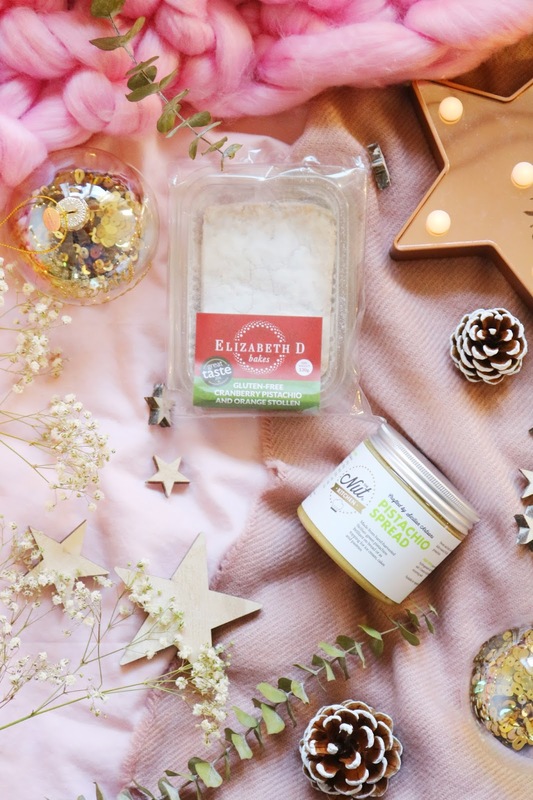 All three products within the gift set are suitable for vegans to use, some of the ingredients are natural and some are also organic which is fantastic. The set contains a shower gel (200ml), body lotion (150ml) and a lip balm (4.8g), all of which contain vanilla extract - it's a scent that for me is so cosy and comforting! 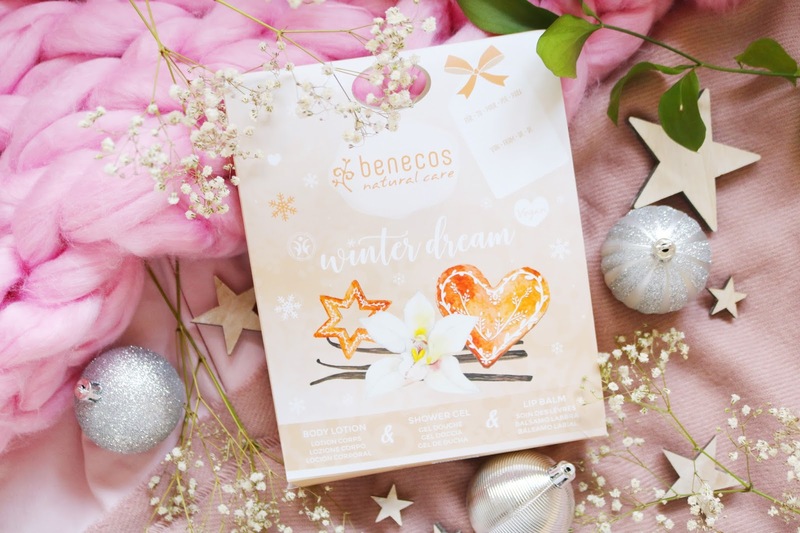 Benecos is a new brand to me but it sounds wonderful and seems like a very ethical, natural brand and since trying these products, I can definitely recommend them as they are gentle, subtly scented and effective with a low price point. The only thing I'm not a massive fan of is the glitter in the lip balm but it's a wonderful festive gift set that would be ideal for those with sensitive skin and friends or family members who are vegan. The final two gift sets are extra special and as a treat for the readers of my blog, you'll have the chance to win these two sets below! But first, the Forest & Fruit set contains a gorgeous cypress and tangerine shower gel and body lotion. Both products are large 100ml bottle so it's a great way to full try the brand to see if you want to try more. 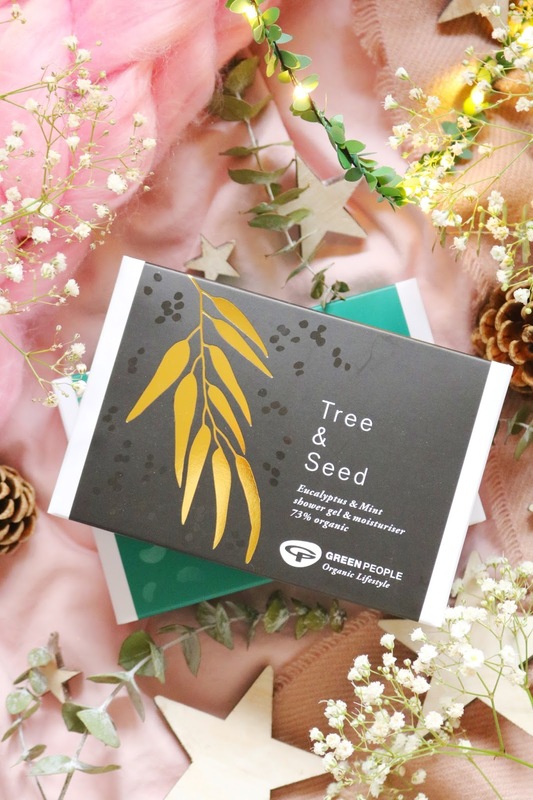 Green People is an extra special brand because it is vegan, crudely free and the products contain certified organic ingredients - 83% of the ingredients within this set are organic. Additionally there are no parabens, fragrance, lanolin, alcohol, colourants or petrochemicals within their products so it's another brand that would be ideal for those with sensitive skin or allergies. Last but not least for today's gift guide and it's a great option for the men in your life as not only does it come from an amazing, natural and ethical brand that would be great for sensitive skin but it's set that's beautifully presented and practical - you know how I feel about practical but pretty presents! 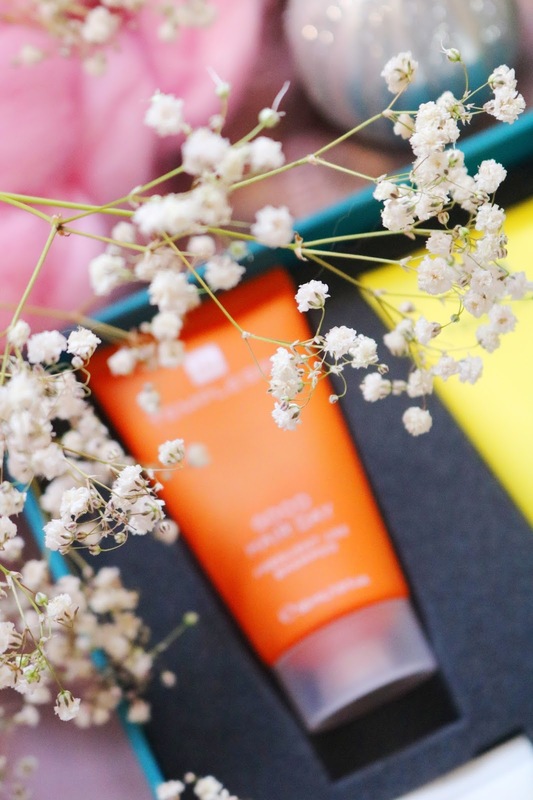 I've tried a few products from Green People over the past couple of years including their Scent Free Sun Lotion and their Sensitive Skincare which I loved and I'd definitely recommend all of those products, particularly if you have sensitive skin as I do (I have eczema and these products didn't irritate my skin at all). This set contains the eucalyptus and mint shower gel and moisturiser, both of which are 100ml and contain 73% organic ingredients; also some of the natural ingredients are fair trade which is always fantastic. The products smell so gorgeous, fresh and masculine - I think my dad would absolutely love the scent. I cannot recommend these two gift sets enough so you should definitely enter the giveaway below and check out their other fabulously festive gift sets. To enter the giveaway, make sure you watch the video below and fill in the Rafflecopter form below. It's UK only (sorry) as it's difficult to post certain beauty products outside of the UK. It will start on the 20th and end on the 30th so you have plenty of time to enter and there are options to enter every day. What do you think of these gift sets? 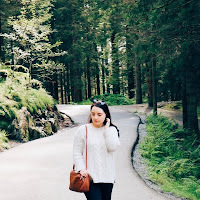 Have you entered my giveaway?